I may have not made enough time for blogging these past few months, but 2015 has been a good year so far. Instead of brushing the past four months aside or doing separate posts for different moments (ain’t nobody got time for that), I decided to throw them all together here. Ready for picture overload? 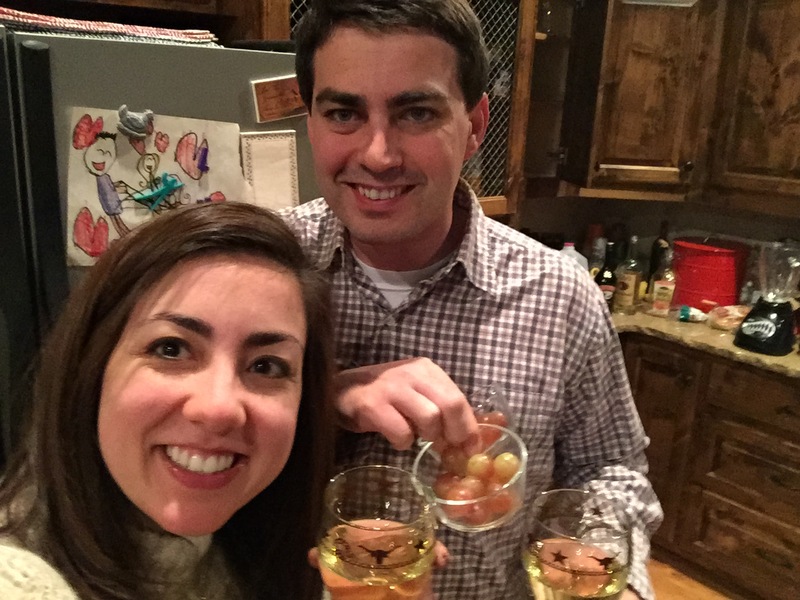 We celebrated the new year with some sweet friends in Fredericksburg. 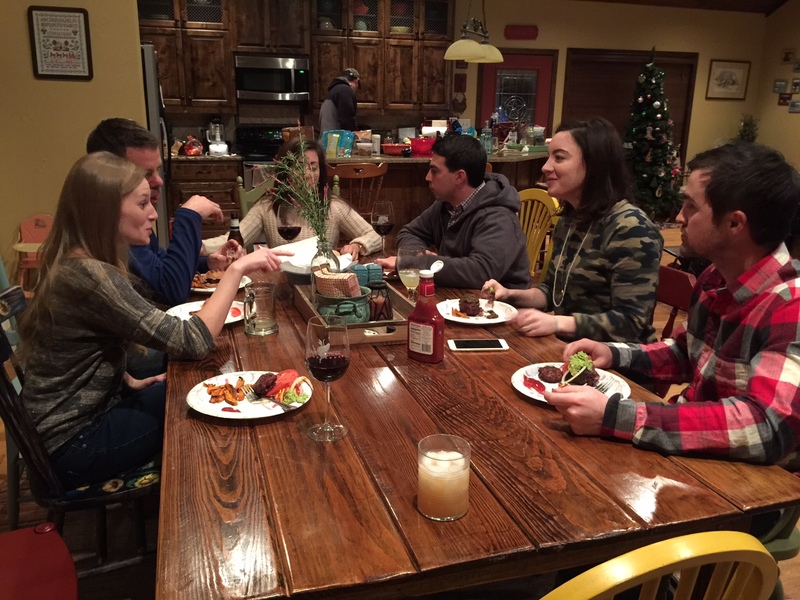 We love this awesome group and had such a good time talking over a delicious dinner, playing Pass the Pigs and Heads Up, watching the NYE special, and eating 12 grapes at midnight. After talking about it for a while, I saw a dear friend move to LA. 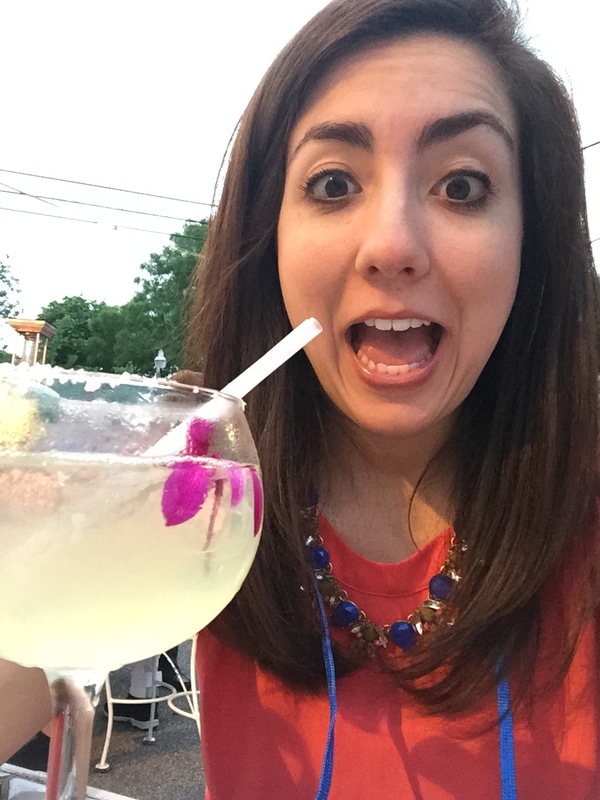 Y’all, this sassy girl is awesome and I love hearing about her new life in California. I have so much admiration for her for making this move! 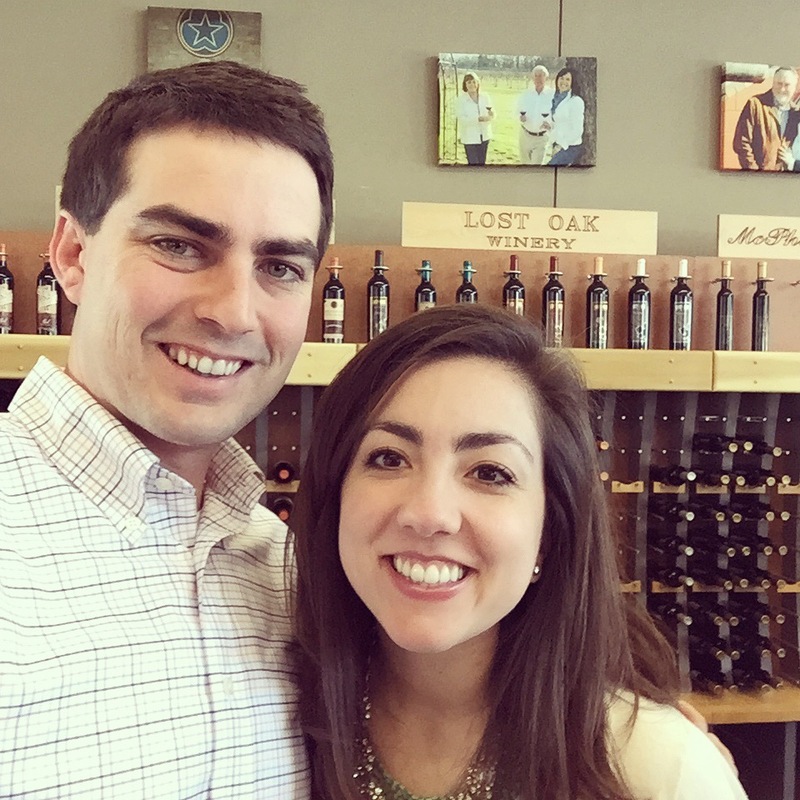 We spent Valentine’s Day in Fredericksburg and visited some of our favorite vineyards before having a great dinner at Arcade back in San Antonio. 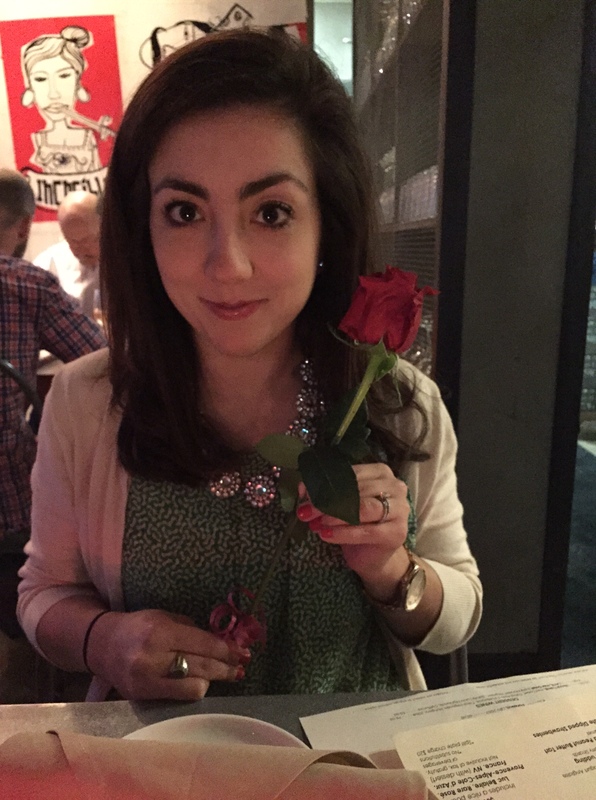 Each table was given a single red rose; naturally, I felt like I was on The Bachelor. 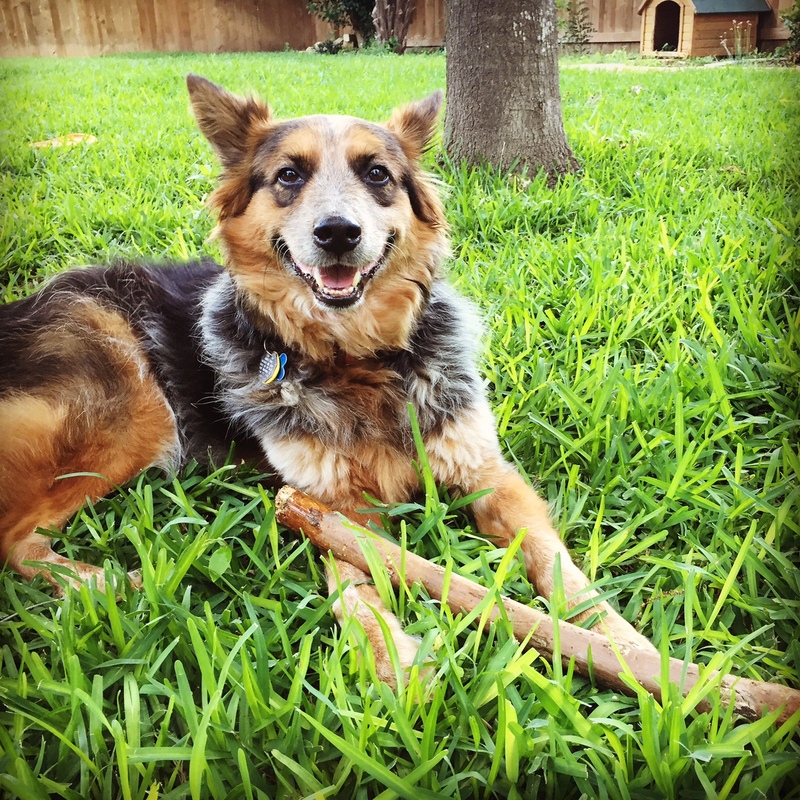 One of the best parts of this year has been finding a home for our foster dog, Molly. This will most likely get its own post at some point so I can share some pictures and more of her story. I still can’t believe we had her for five months and that we were able to see her change from an extremely timid dog that was completely numb to any human interaction, to a goofy and sweet, shy lab. Molly hit the doggy lottery when my dear friend Haley‘s parents adopted her. 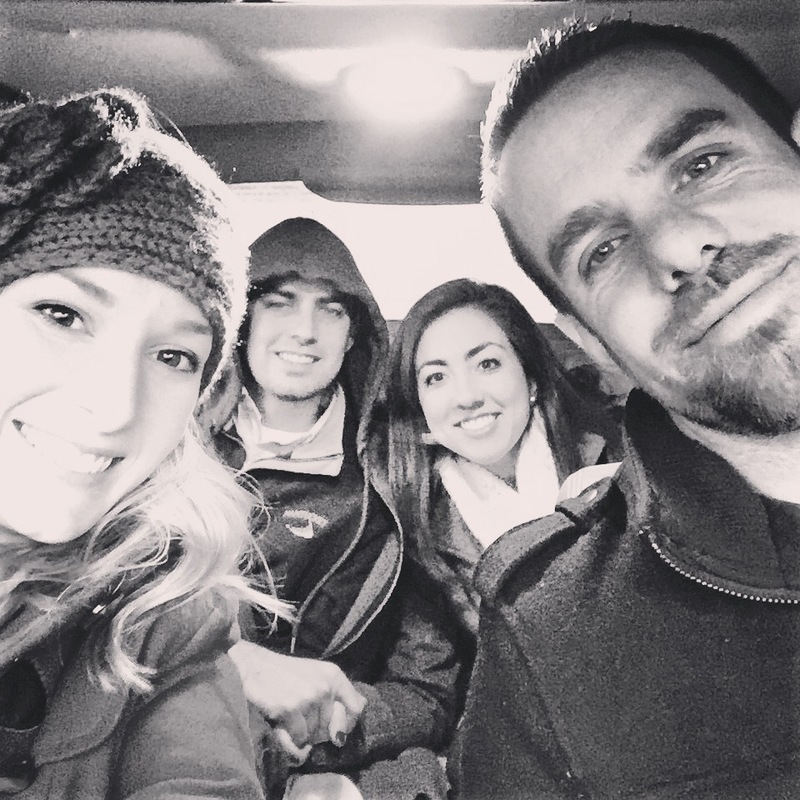 We took a trip to Nashville and ended the month with Ranchopalooza with our youth group. 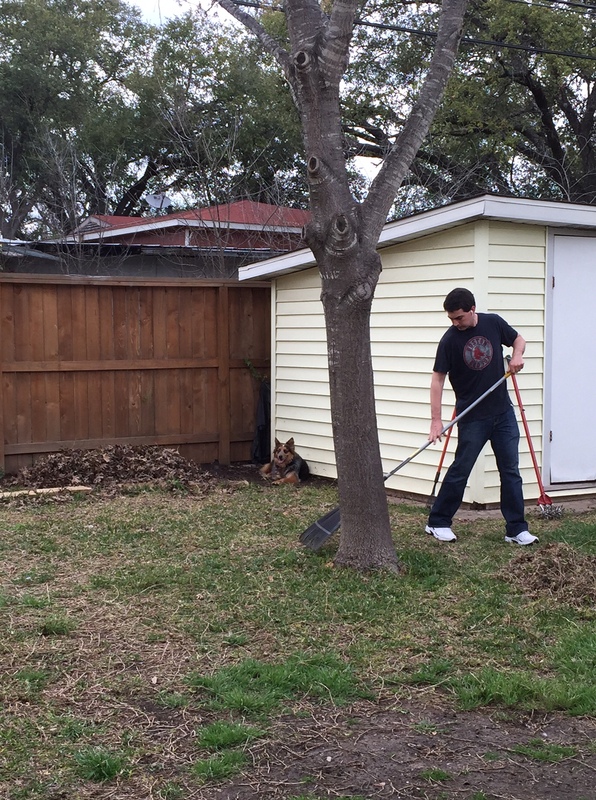 Warmer weather in March had us outside working on the yard. 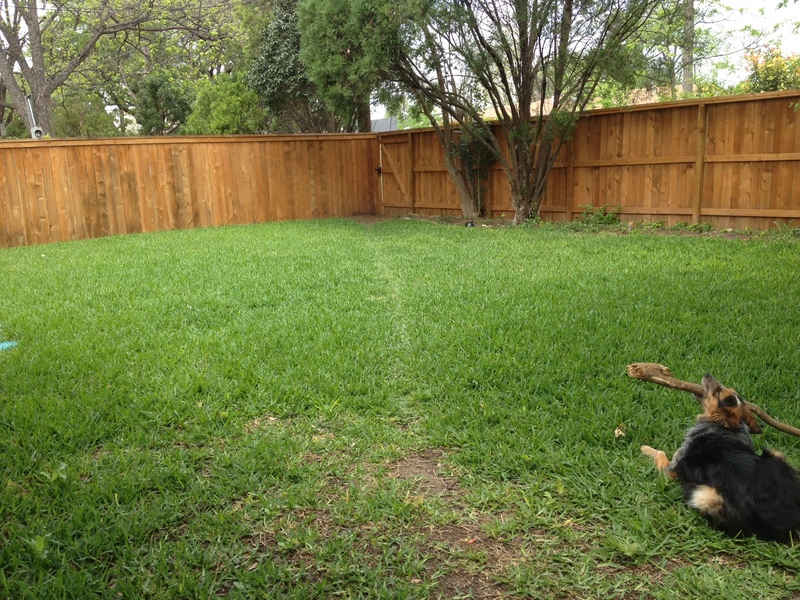 We planted some new grass in areas that the dogs had worn down to dirt and put some new plants in our garden. 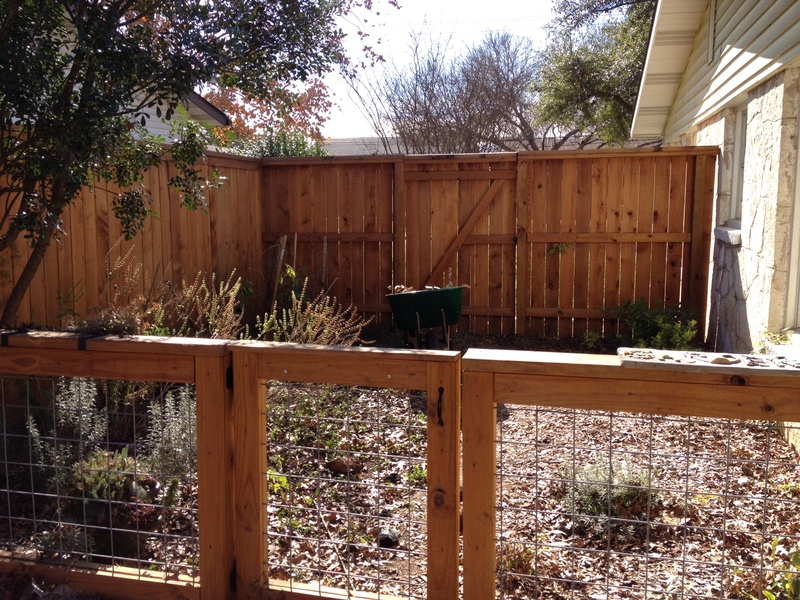 We finally did some landscaping along the fence of our backyard… twice. 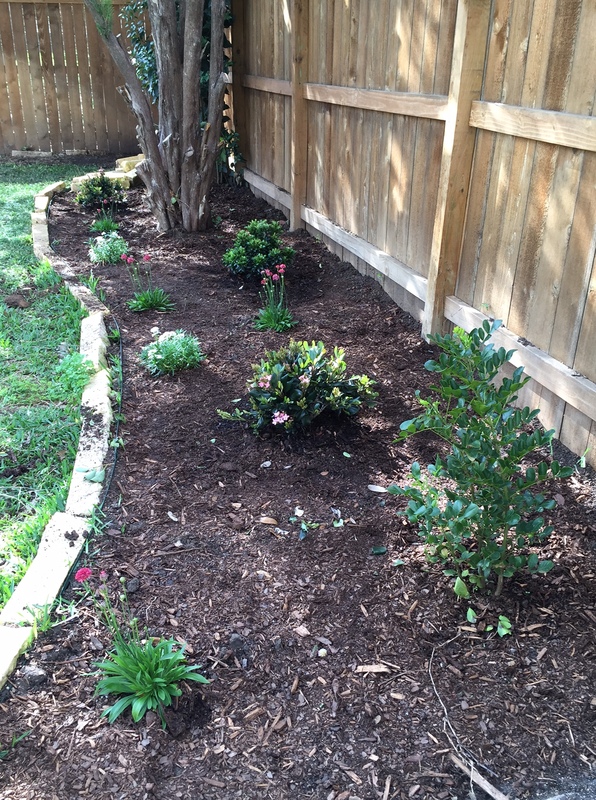 We planted some azaleas before we realized they are poisonous to dogs… oops. 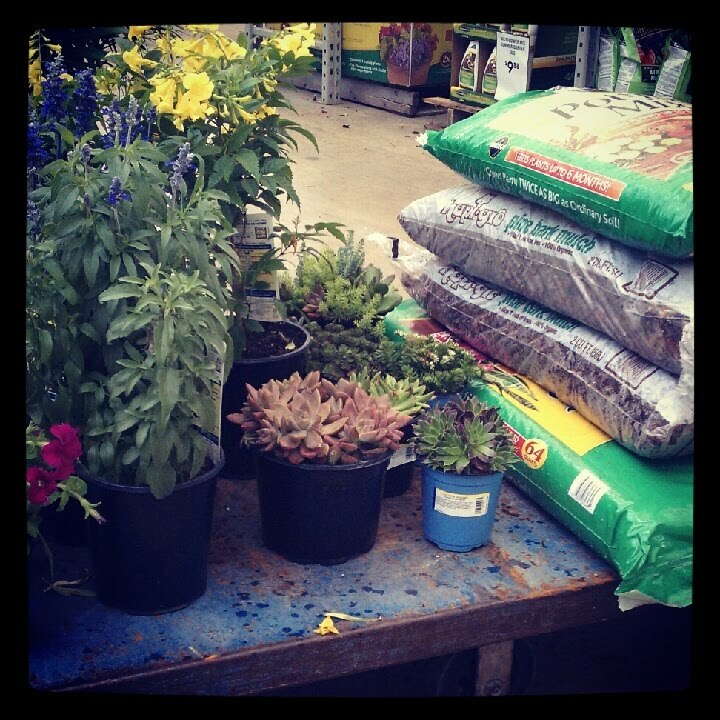 Thankfully we bought these plants at Millberger’s and they have a great return policy. Those azaleas came out and Indian hawthorn went in. 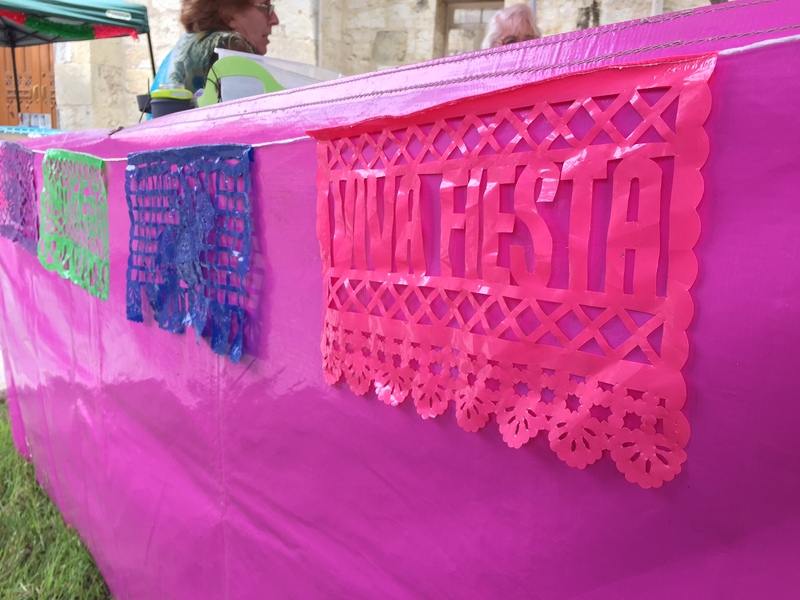 April was spent preparing for Fiesta Arts Fair and coordinating volunteers to work throughout the two day event. 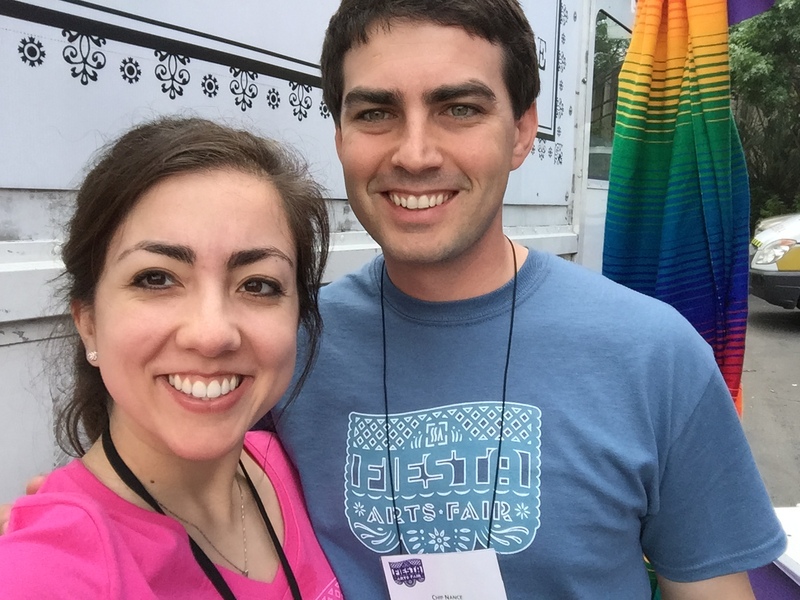 I’m so thankful to be part of a team that made my first Fiesta Arts Fair so great and to Chip who worked the entire weekend with me. 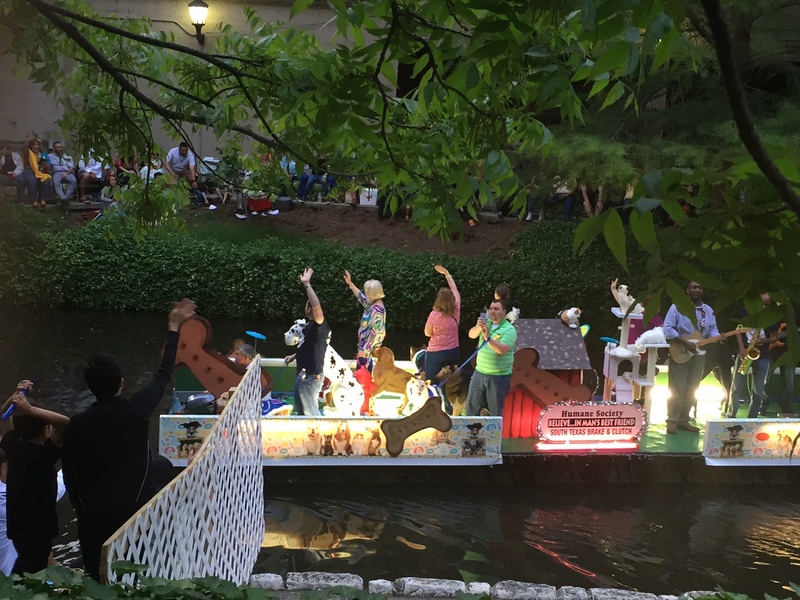 Other highlights to the Fiesta season were the River Parade and party at La Fogata. May has already been off to a great start with the birth of the royal baby and having my little brother get engaged! 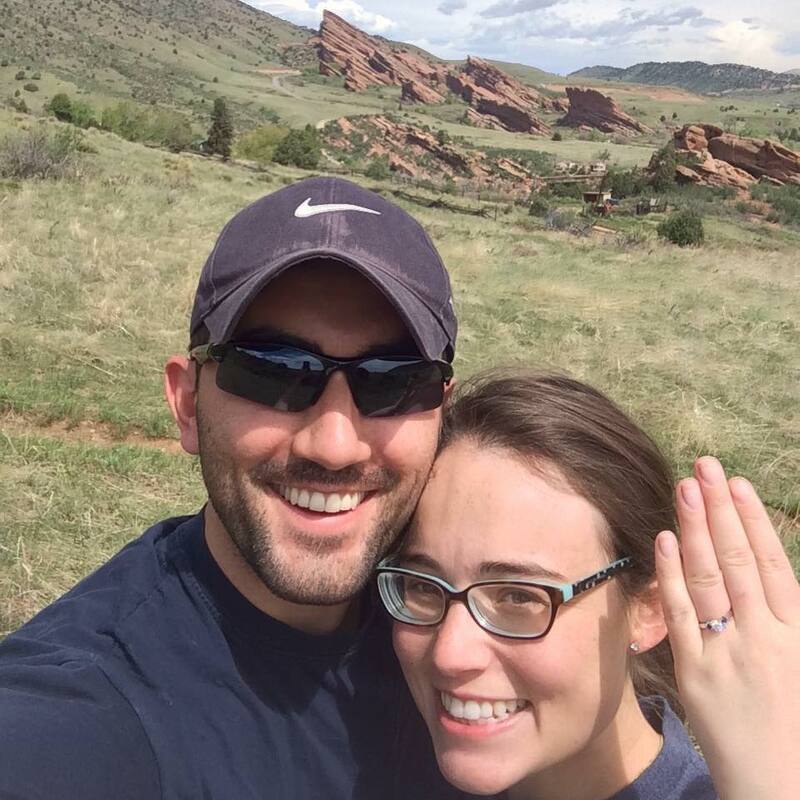 So excited for Alex and Teresa! And now we’re pretty much caught up. Hooray. 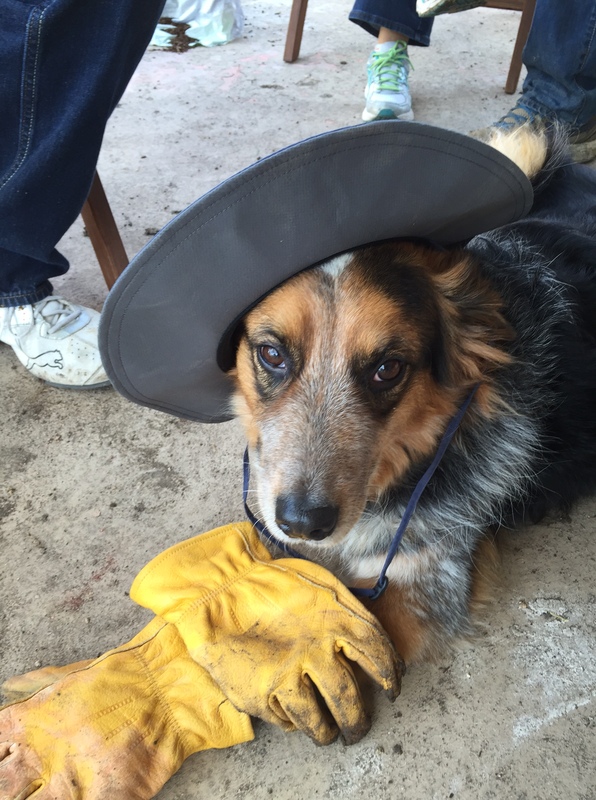 This entry was posted in House Projects, Man's Best Friend, Random Tidbits and tagged Fiesta, Fiesta Arts Fair, foster dog, gardening, yard work on May 3, 2015 by the nance familia. 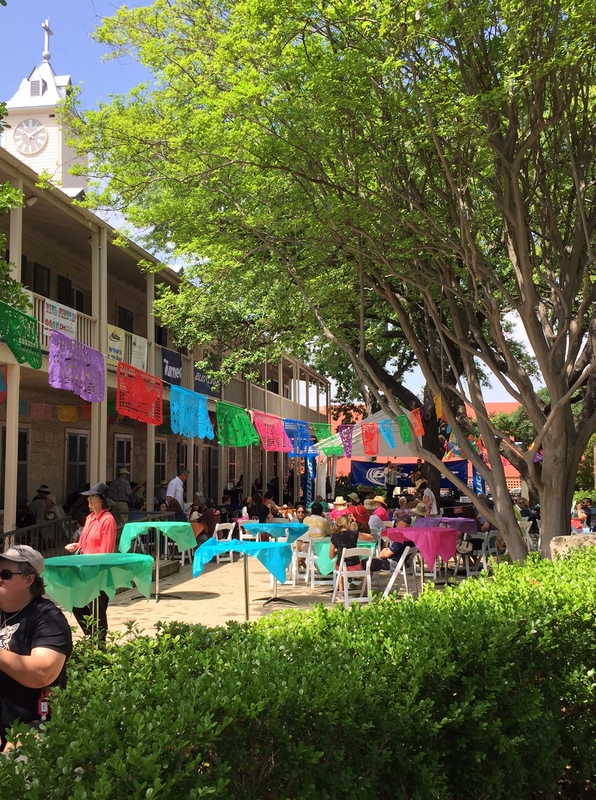 The weather may have changed more in the past three weeks than the wardrobe of an Oscar’s host, but spring is in full swing here in San Antonio. 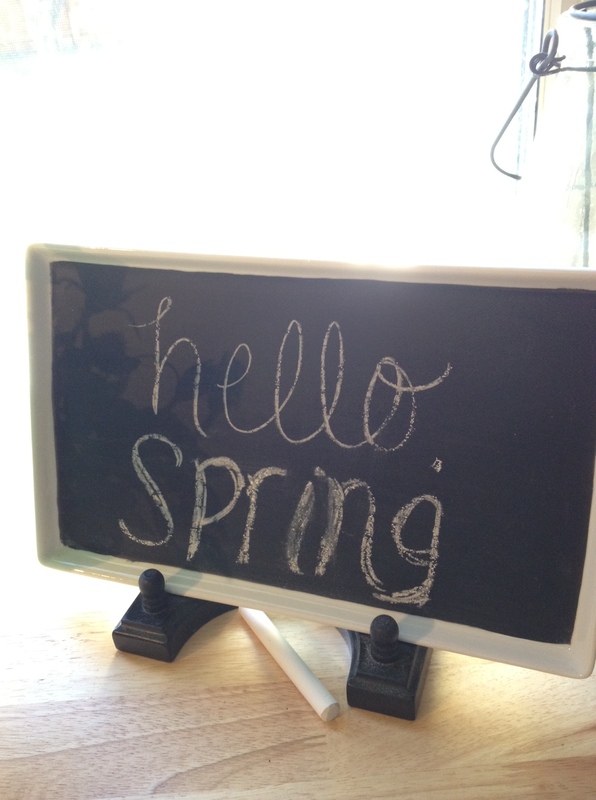 Two clear ways to tell despite the changes from cool afternoons to warm mornings to rainstorms: 1. 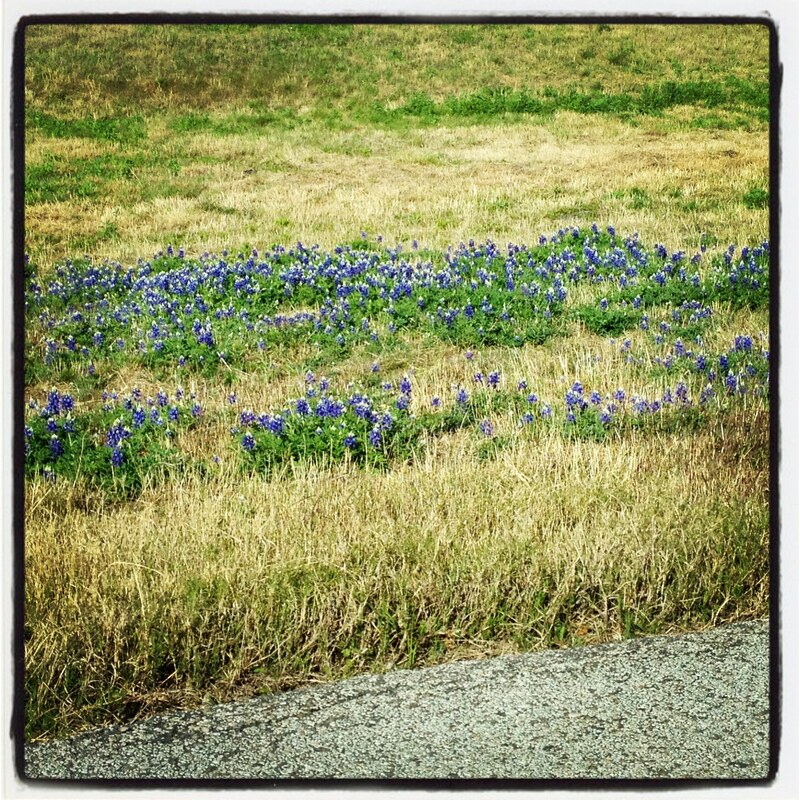 The bluebonnets have been blooming along the side of the highway and 2.I’ve been sneezing everyday for the past month (thanks a lot, oak count). Despite the sneezes that continue to interrupt my days, I love this time of year in Texas. This is some of the best weather to go for a walk with Wrigley, eat outside, try to get rid of my sock tan from our day at Enchanted Rock with the youth group, and do yard work. We’ve been trying to spend as much time outside as possible lately since we know that the 90 degree weather is inevitable and will be driving us back indoors (I don’t get along with humidity). 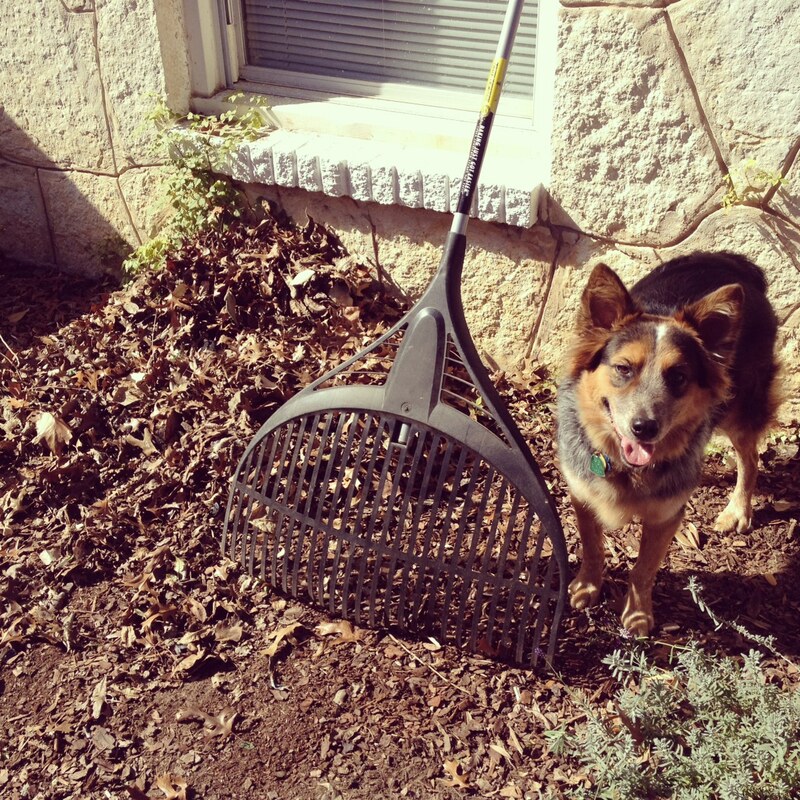 To get ready for spring, Chip spent some time working on the lawn. It had gotten a little dry and light in color during the winter, so he spent a few weekends fertilizing the front and backyard. 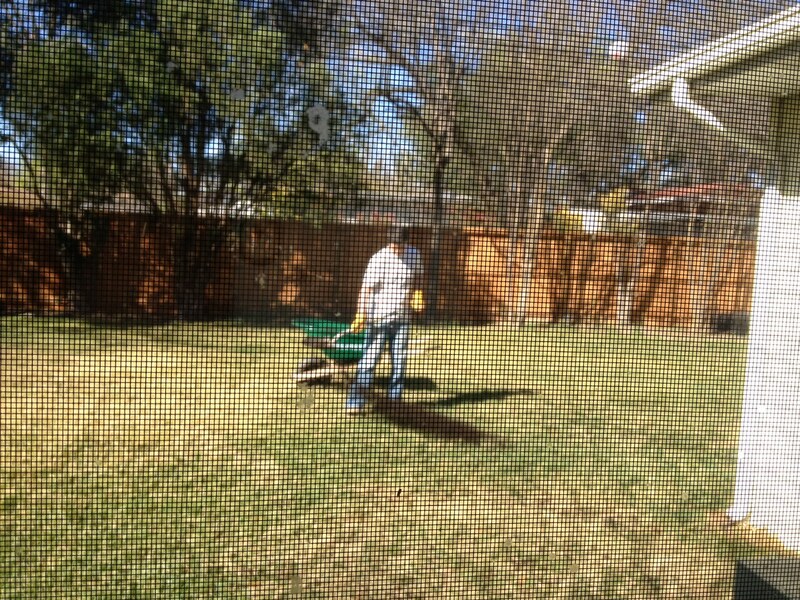 Let me just say that I now want us to fertilize once a month (even though I know that’s completely not possible). It turned our lawn so green and helped the grass really spread in the front yard. Chip also used some beneficial nematodes based on a recommendation from a church friend. I’m still not exactly sure what they are or what they do, but it really helped some of the brown patches we had in the back so those little nematodes are welcome whenever :) Great work, Chip! Stalking Chip from the kitchen while he fertilized the yard. I was probably cooking or doing dishes like a good wife. 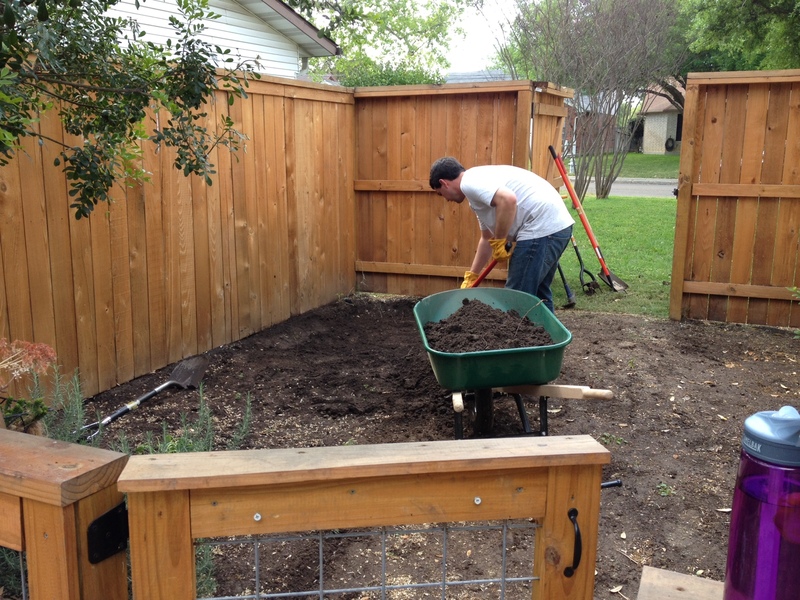 We’ve also spent a couple of weekends working on the garden. 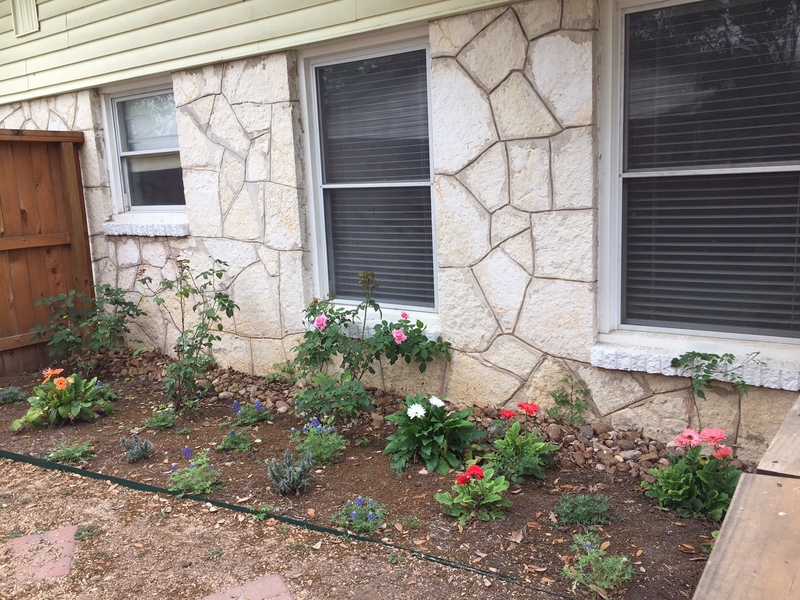 We had done some initial work a while ago to clean out the dead plants and get some of the really rocky dirt out, but (according to Chip) we still had more work to do before planting new stuff. What was this work? Oh, just back-breaking shoveling. Alright, that’s an exaggeration, but it does not discredit how sore my back was the next two days. 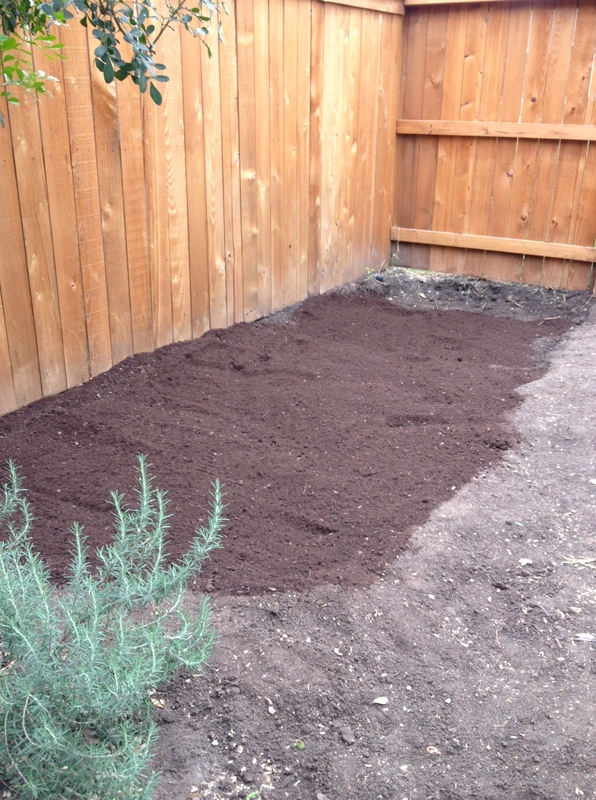 We shoveled out about a four-inch layer of dirt on the veggie side of the garden and then replaced it with some organic soil from Garden-Ville (I shopped for plants while Chip took care of loading up the dirt in his truck). With that, I was finally able to plant – new tomatoes, bell peppers, squash, basil, cilantro, mint, cantaloupe (which will need to be replaced since Chessie accidentally destroyed them), and strawberries. Not going to lie, I’m really excited about those strawberries! We also got some new flowers to plant, but overall the soil on that side of the garden was fairly decent so we left it as-is (and I really just didn’t want to use a shovel any longer). So far, everything seems to be growing alright. We’re already seeing some little tomatoes and strawberries, so I’m trying really hard not to get overly excited and over-water everything like I typically do. I love my plants and tend to drown them. Oops. 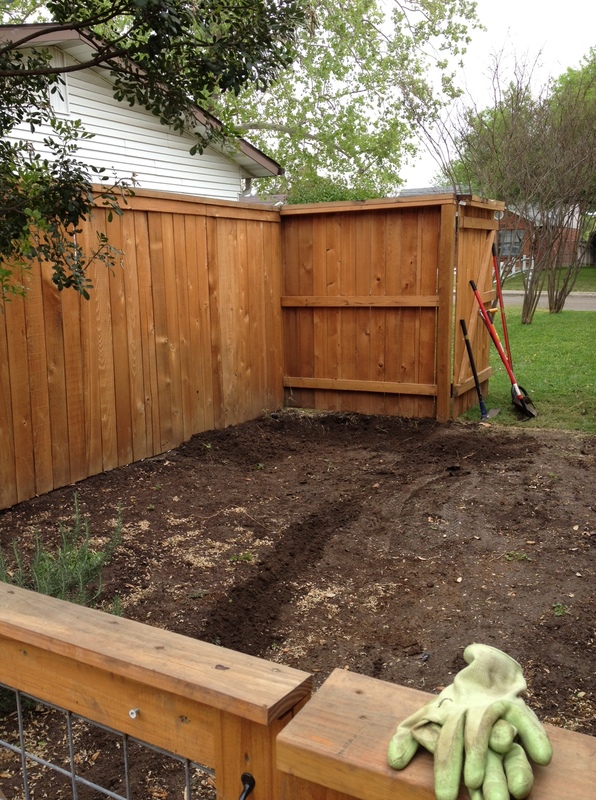 This entry was posted in House Projects and tagged garden, gardening, yard work on April 13, 2013 by the nance familia. 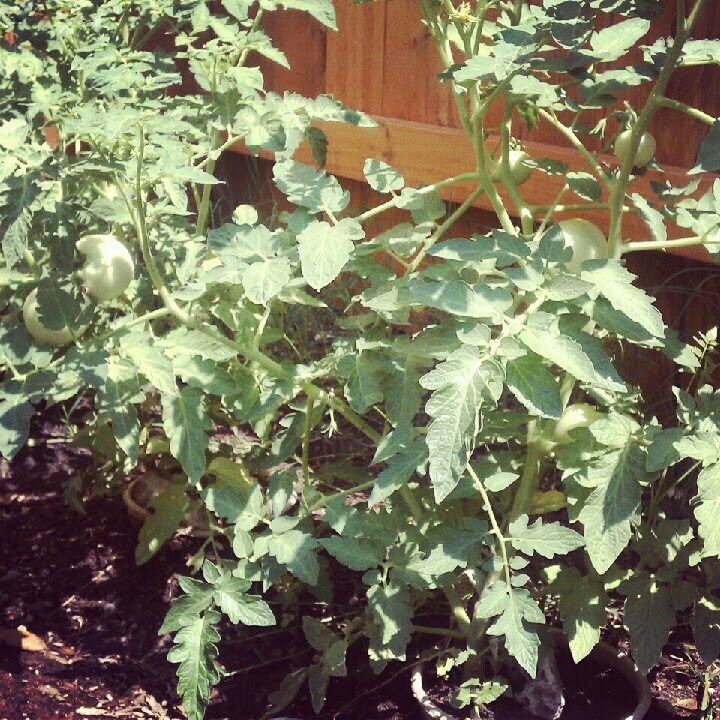 As many of you know, Chip and I planted our very first garden last spring. 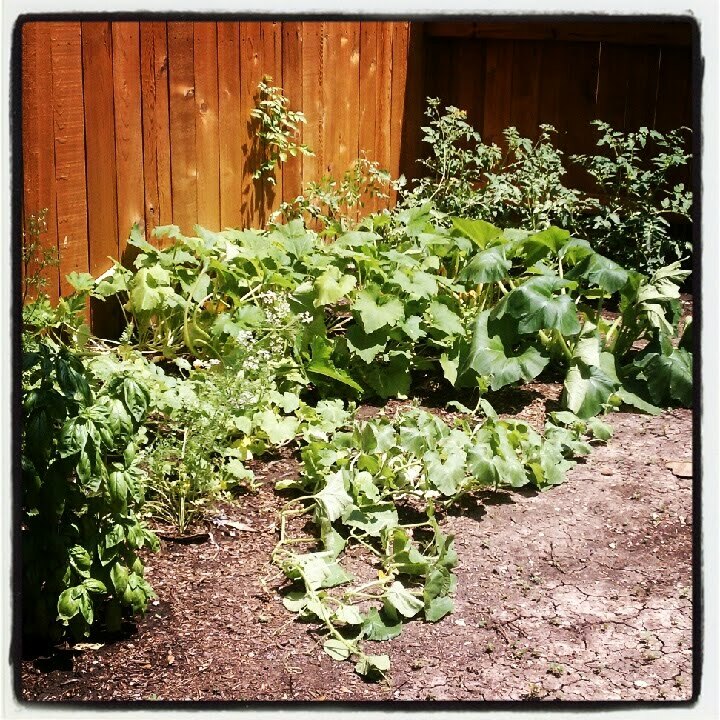 Much to our surprise, this garden started to flourish like crazy a few months after we got it started. It soon reached the point where our plants were getting so big that they were actually starting to kill each other as they all tried to get their necessary sunlight. 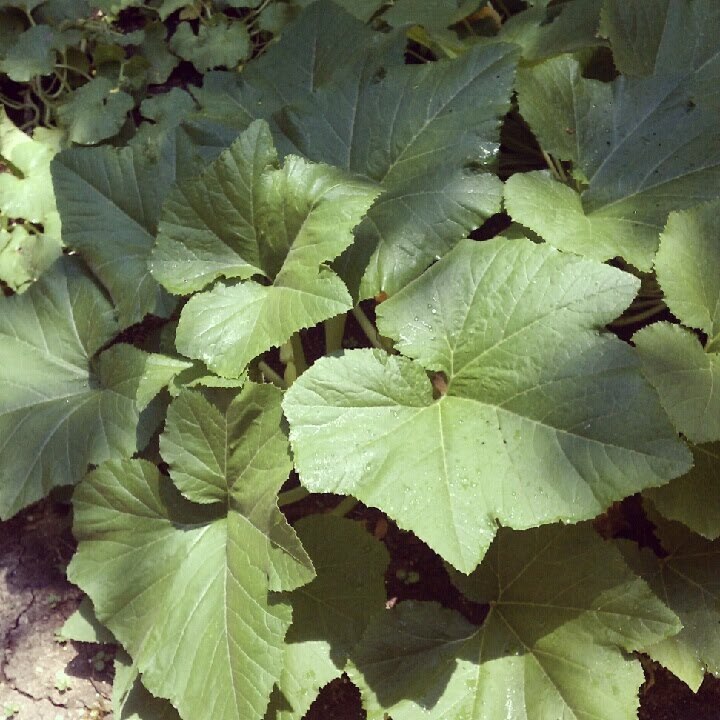 We’re talking squash plants crowding their space and watermelon vines wrapping around nearby plants. Who would have thought gardening would be so intense?? Not me. 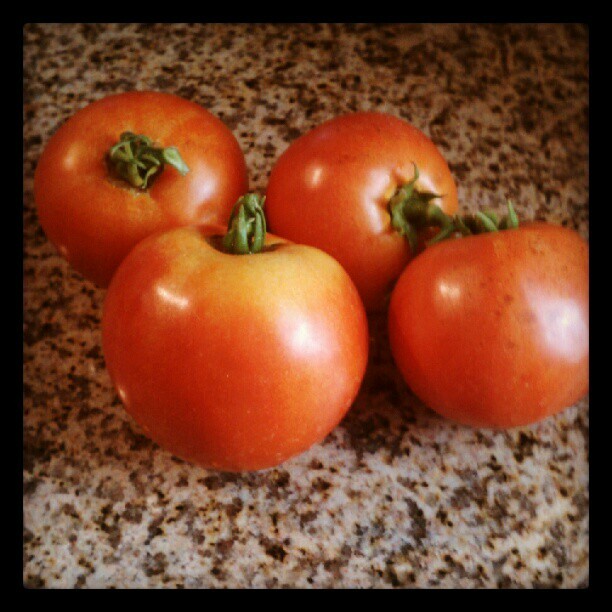 Despite some of the chaos and learning curve that we experienced, we did get a lot from our garden. 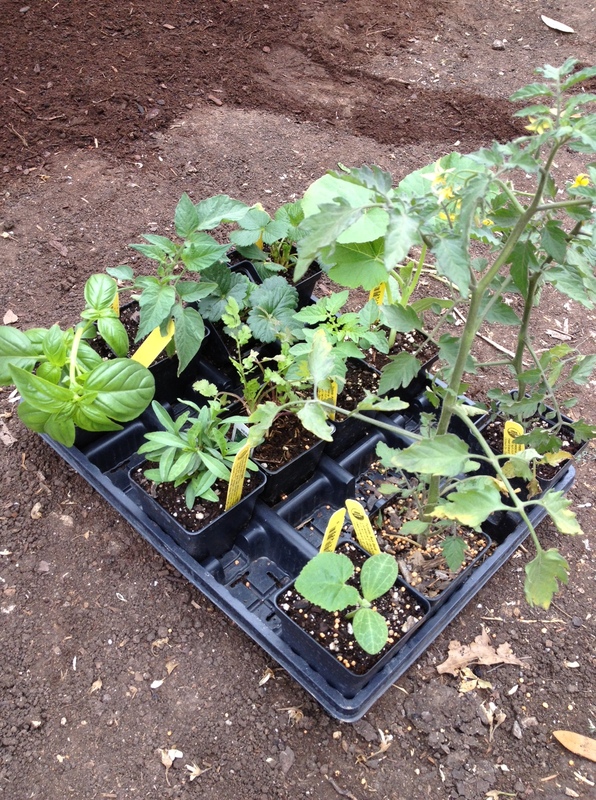 We had plenty of tomatoes and basil to go with our homemade pizzas and even had some squash and bell peppers grow. 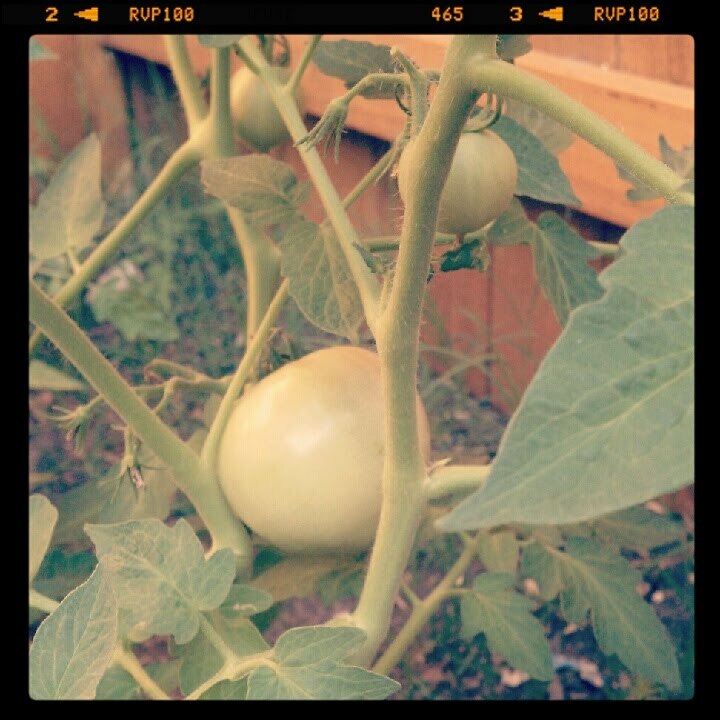 At one point in the summer, while I was out in the garden diligently watering my plants when I realized that overnight, almost of the tomato leaves had disappeared. As I continued to stare at my tomato plants in complete confusion, I found the biggest, fattest caterpillar going to town on my plants. In the words of Stephanie Tanner from Full House, all I could think was “how rude!” This caterpillar was definitely not invited to hang out in our garden. Thankfully, Chip came to my rescue and quickly disposed of this pest. However, the damage was done; he had eaten the leaves off of the three large tomato plants and had made some significant impact on my cherry tomato plant, too. I was so personally insulted (a little dramatic, yes; I blame my Lopez genes for that) and am still surprised how one bug could take the wind out of my sails. Also around this time, I stopped overwatering my plants. FYI, If I’m going to kill a plant, it’s usually from over-loving them in this way so be forewarned if you ever ask me to watch some plants for you while you’re out of town. I think this initial neglect came from the despair of the infamous caterpillar and his monster teeth damage, but I was so surprised (and slightly offended) that a lot of our plants were doing better without all my watering and attention. So I went from watering every day to really never watering at all and instead having our garden survive on our sprinklers going off once a week and any occasional rain. Yes, I realize I went from one extreme to the other. Since I was no longer spending time every day in the garden, I kept feeling so taken aback at the amount of growth and weeds whenever I went back there to get basil or check on some of the flowers. Then came fall and colder weather and I spent even less time outside. Then came a couple of freezes… as a first time gardener, I completely forgot about the need to cover plants during freezing weather. Oops. So we had a few losses from that this winter, which sadly included my faithful gerber daisies and our hearty (and slightly out of control) basil. Not pretty. It actually wasn’t as bad as I had expected, but I started Saturday morning expecting to pull just about everything out. Luckily, about half is actually staying. Our succulents did fine through the winter, although they need some cleaning up, as did our rosemary (so thankful for how neatly these continue to grow! ), bell peppers, gardenias and lavender. The tomato plants never really grew their leaves back (but still managed to produce tomatoes… my photosynthesis knowledge isn’t good enough to figure this out), so those will be taken out and replaced this spring. 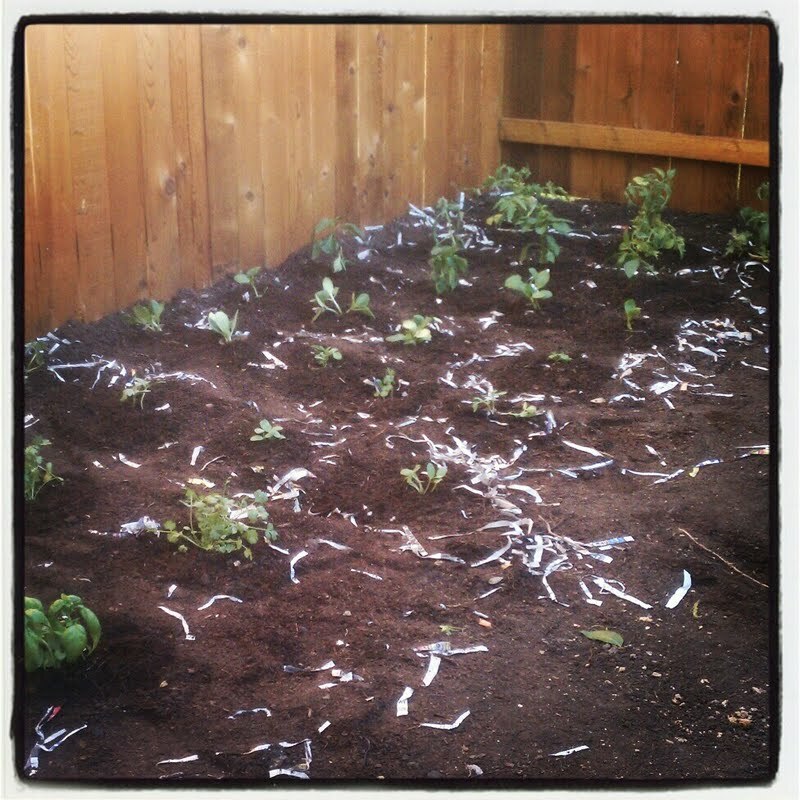 The basil that had once gotten out of control died with the cold weather, as did the gerber daisies. There were also leaves everywhere from all the trees around the garden. I decided to work on the leaves first and started raking all of them over to one side to get them out of the way. With the leaves taken care of, I could then see where the different weeds were growing and work on pulling these out. 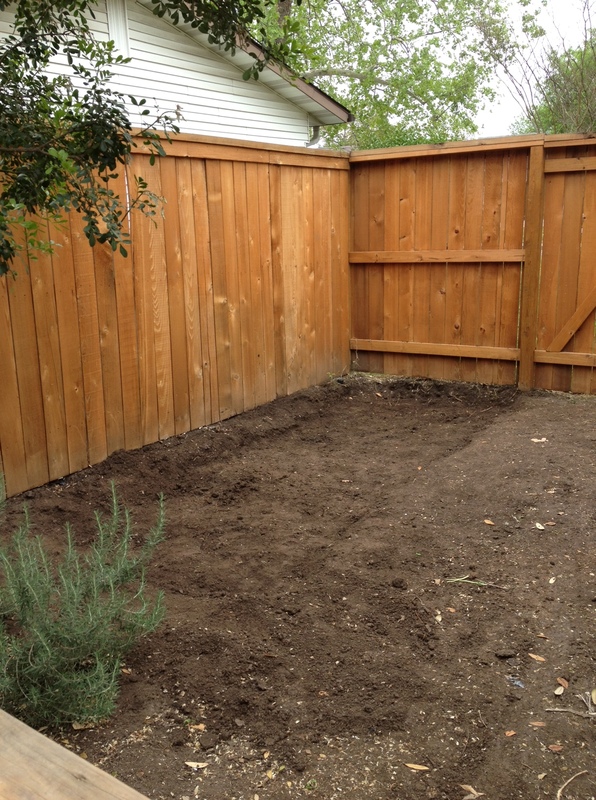 Within an hour, I felt like I had made a lot of progress on getting the area cleaned up. I was also able to dig out the three different basil plants and clear space for some new ones. 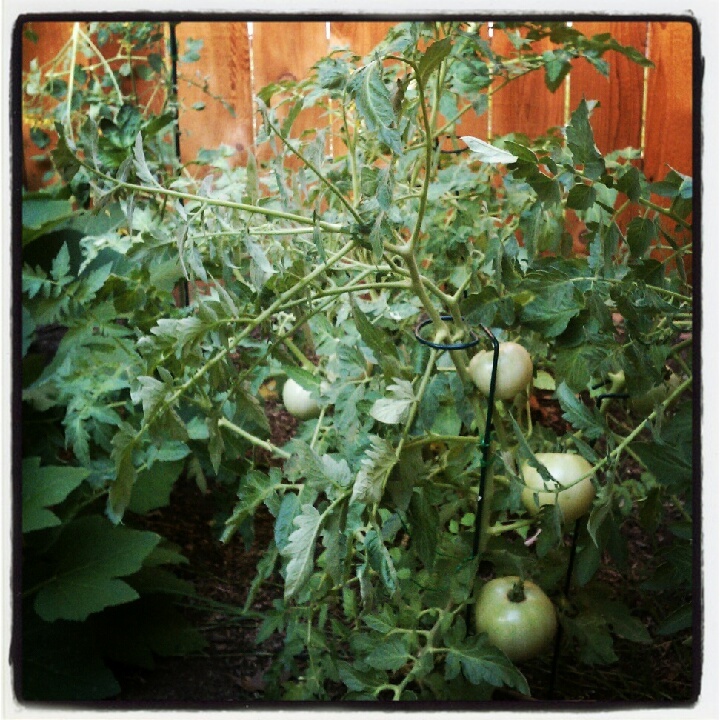 I stopped short of taking out our tomato plants; I saw a neat little spider web between them and didn’t feel like facing whatever spider had made its home there (i.e., I really don’t like bugs and had already run out of the garden several times at the sound of a bee). I’m really encouraged that just a couple of hours dedicated to the garden made such a difference and that we seem to still have really good soil. We’ve started working on a game plan for how to keep our garden going and not feel overwhelmed by it this time around, so stay tuned for what will hopefully be a very fruitful spring/summer (pun intended!). This entry was posted in House Projects and tagged garden, gardening, yard work on January 21, 2013 by the nance familia. 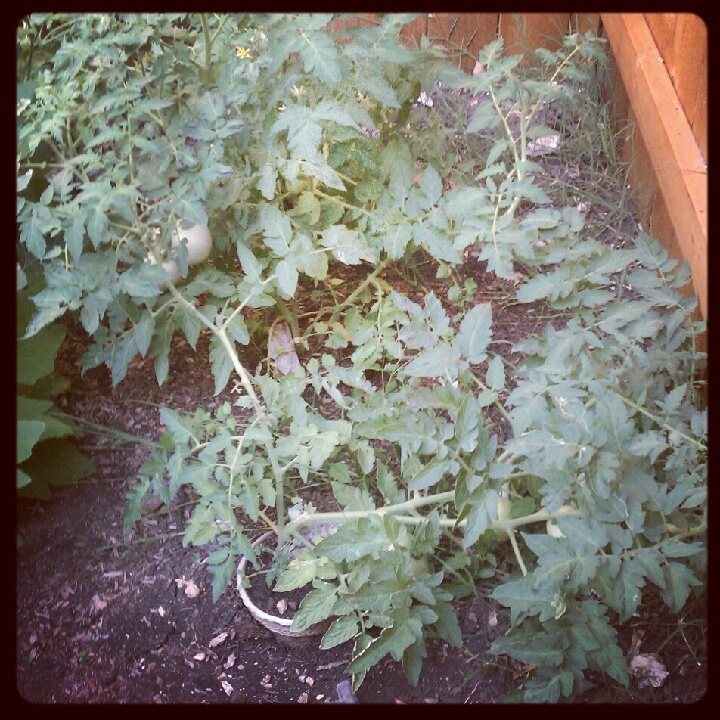 This entry was posted in House Projects and tagged garden, gardening on June 22, 2012 by the nance familia. When Chip and I first planted our garden, we really didn’t expect it to be a complete success. This was our first time really planting anything substantial so we assumed some things just wouldn’t do well. 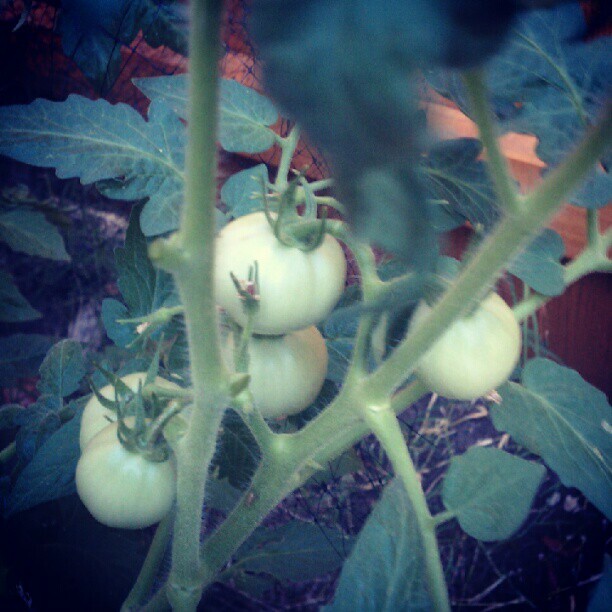 As of yet, our garden has been much more a success than we had ever anticipated. We’re seeing tomatoes and squash already grow, seeing the beginning stages to bell peppers and have utilized our basil and cilantro for multiple dinners. 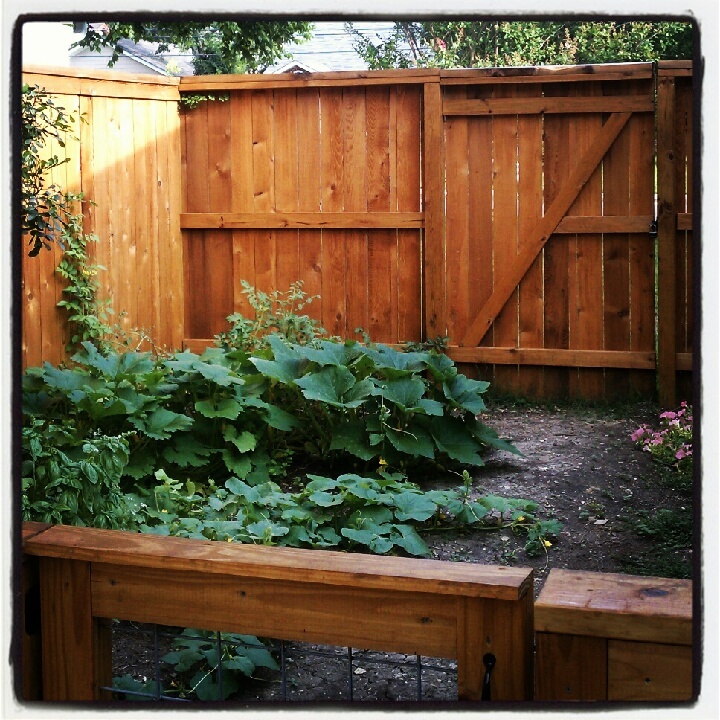 While we spend time in our garden everyday, the size of our plants really snuck up on us. 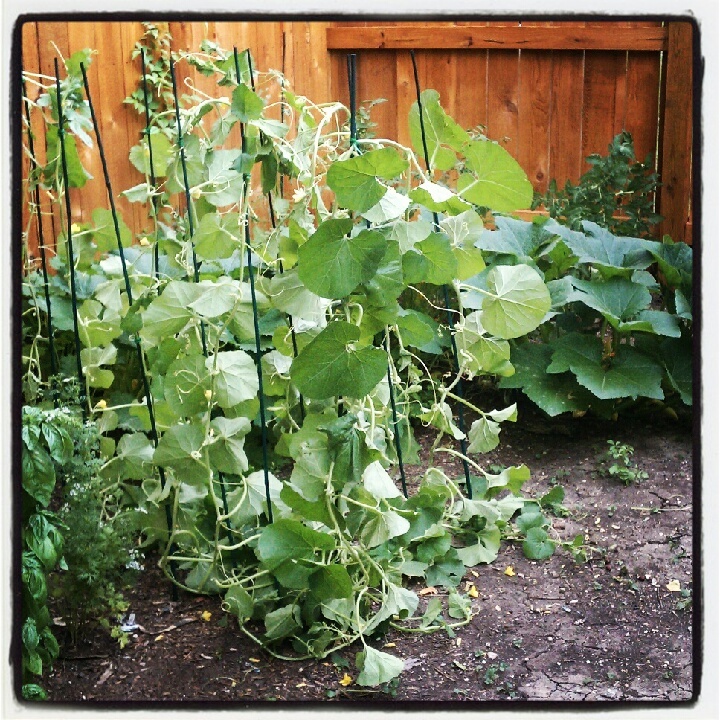 It seemed like all of a sudden, the plants were taking over the garden with the main culprits being the squash, cantaloupe and watermelon. 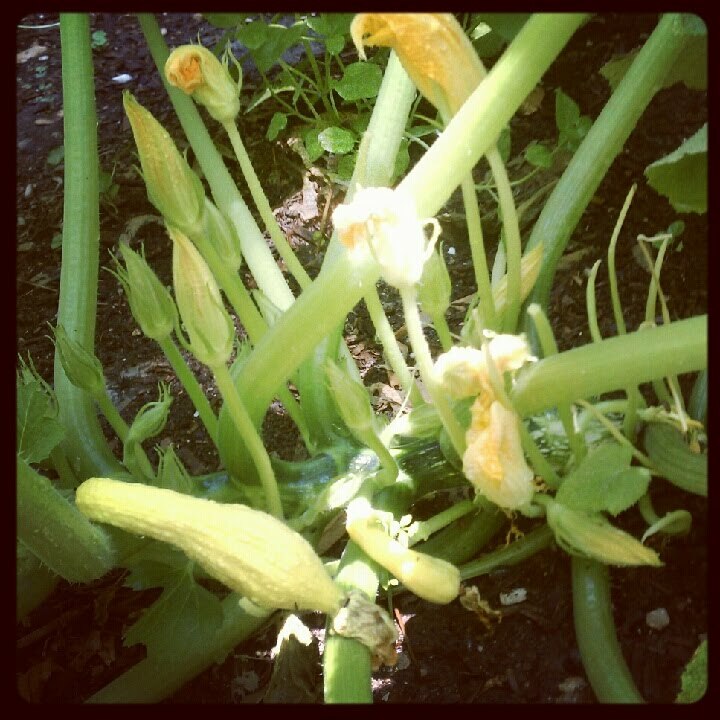 One of our squash plants has gotten huge and is producing lots of little baby vegetables. 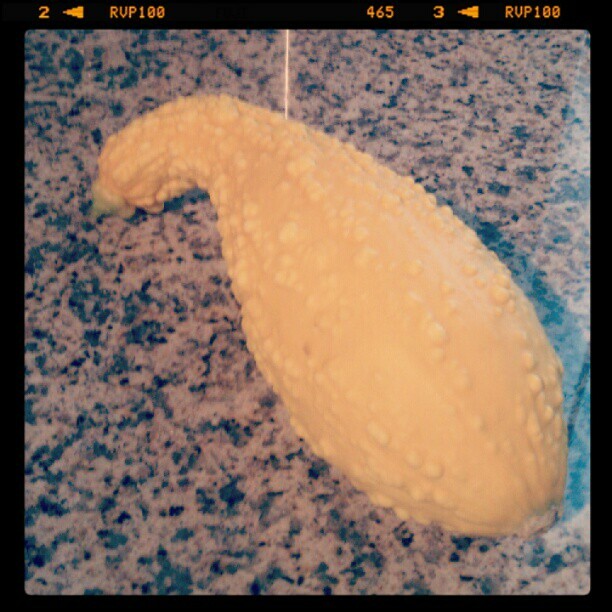 SA friends, I’m hoping all of this squash will grow well and that we will soon be giving produce away. 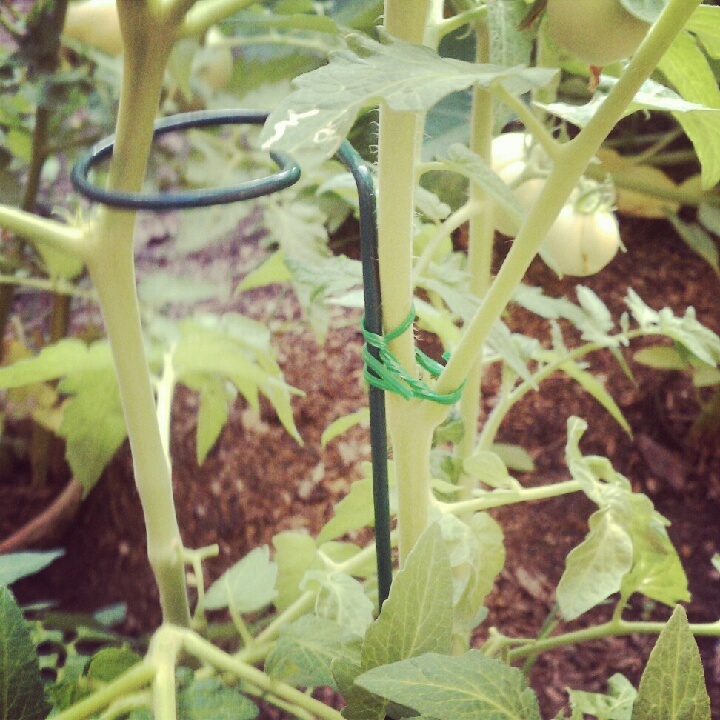 The cantaloupe and watermelon vines have gotten much longer than the little Lowe’s plant tag said it would. 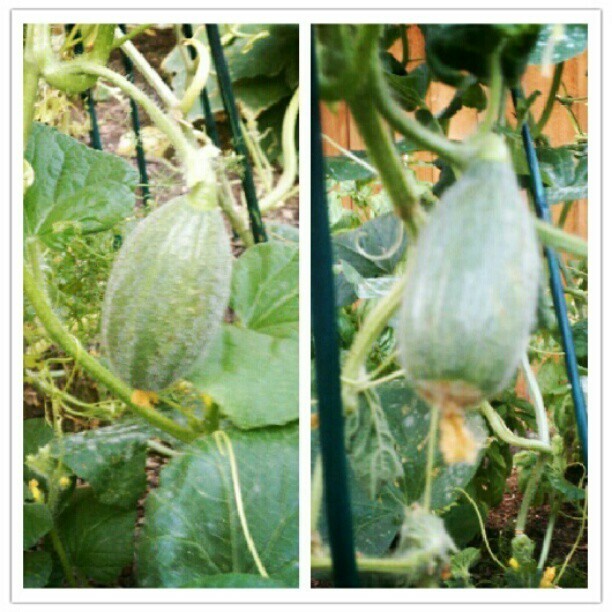 Our front cantaloupe was expanding towards our flowers across the future pathway and our watermelon vines were starting to tangle up with our zucchini. We also noticed that our tomatoes were no longer growing straight and were starting to lean with the weight of the fruit. It was garden chaos! 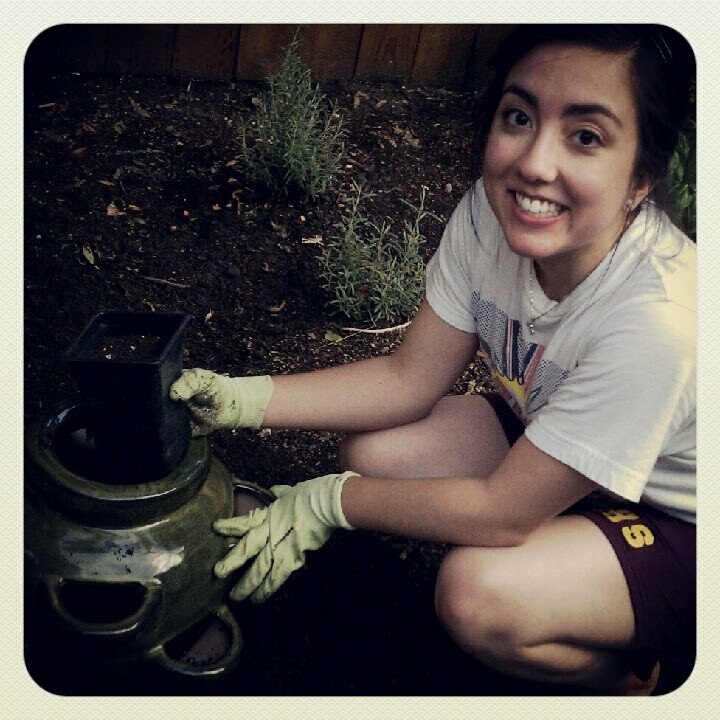 I was feeling overwhelmed at the plants’ growth and getting anxious over how sloppy the garden was looking. So after talking to some friends and doing a little bit of research, we set off to Lowe’s on Sunday to buy some support rods. 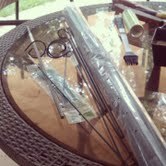 The plan was to use these on the tomatoes to help straighten them out and then get some taller rods so the cantaloupe and watermelon vines could grow up instead of out (and then whenever we hopefully see some fruit start to grow, we can let those vines down so the fruit won’t weight down the rod). It took a bit of work, but I think the garden looks cleaner (although it kind of looks like a jungle…) and this should also help each plant get more sun. The watermelon was definitely taking over its area and hogging all the sun, so I’m not sure how much zucchini we’ll actually get, but that’s alright. 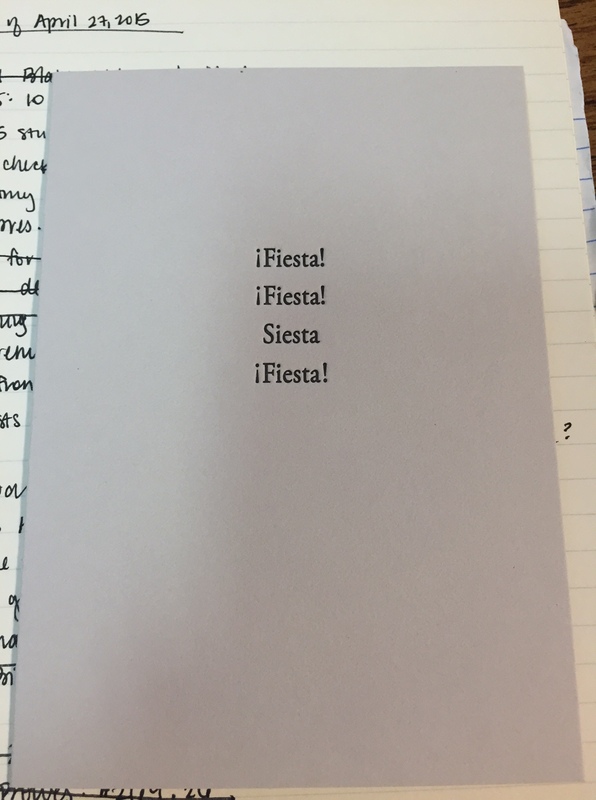 It’s all about learning this year, right? 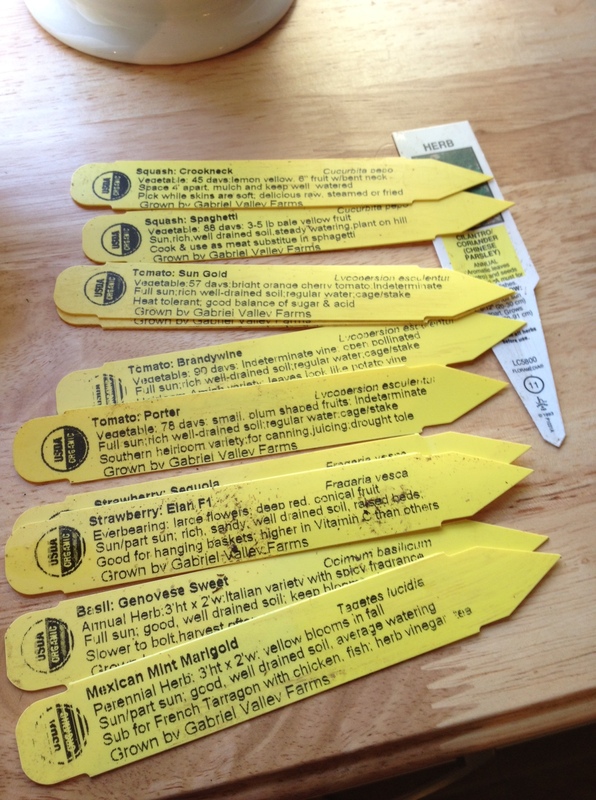 And we have definitely learned a lot… we’ve already decided that next year we will do more tomatoes, way less squash, only one cantaloupe and one watermelon and less basil and cilantro. We’re still hoping to get some mulch back here and work on our path at some point. Here are some pictures from our work this weekend! 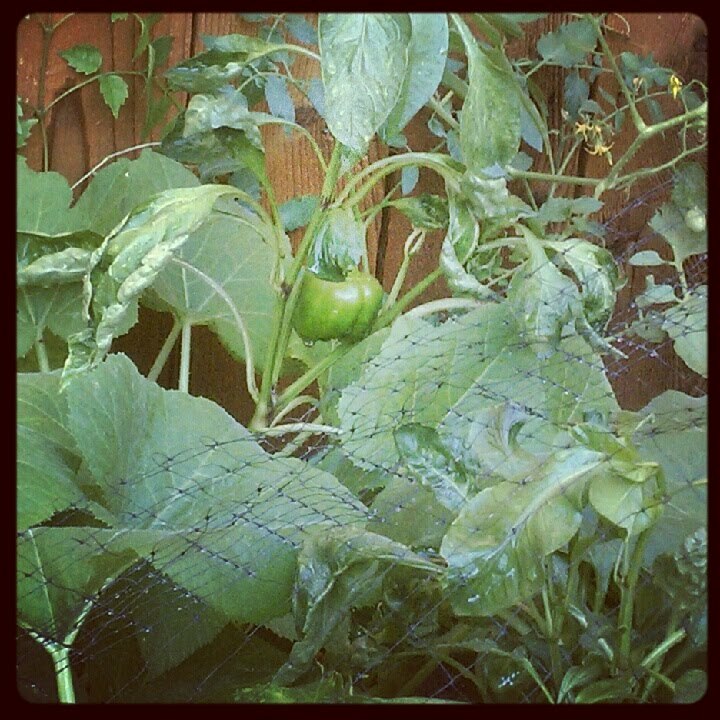 First signs of a bell pepper! 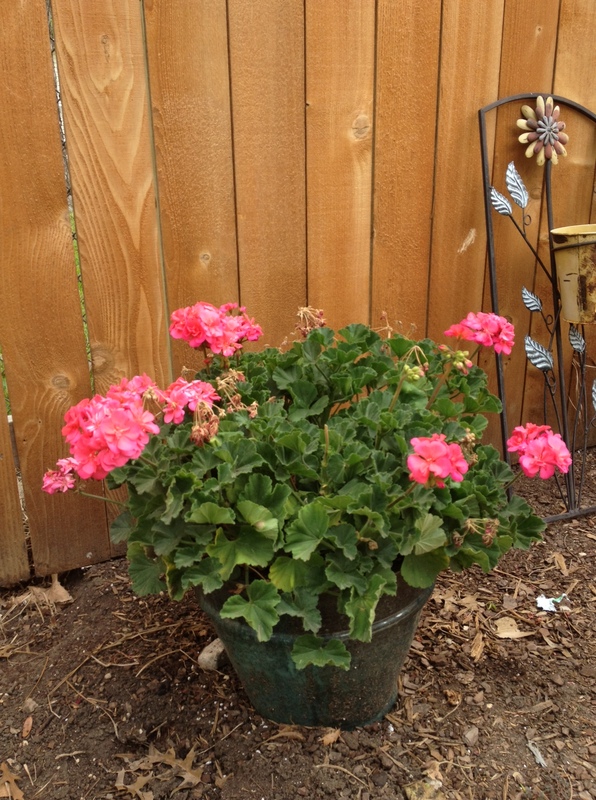 This entry was posted in House Projects and tagged garden, gardening, yard work on June 6, 2012 by the nance familia. 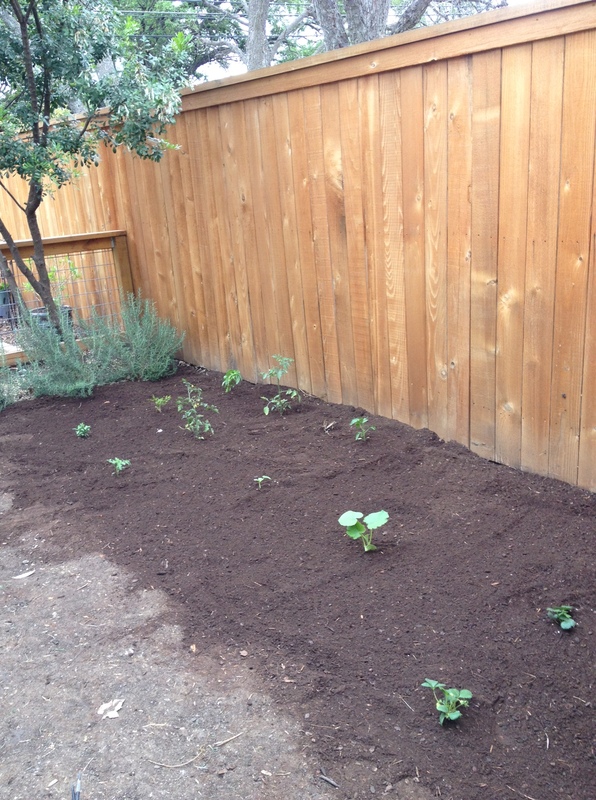 Chip and I planted a garden about a month ago on the side of our backyard. We had been really excited about this project but weren’t sure how successful we would be since neither of us had any garden experience. We were worried that not all of the plants would take root or that the San Antonio weather would slowly kill them off. Fortunately, this garden has completely surpassed our expectations! Everything has really grown and we’re already seeing the signs of some vegetables. We have lots of fun checking out the garden everyday and seeing if anything new has started to sprout (I might do this a little obsessively… haha). We still need to work on the path and lighting down the middle of the garden area, but that will hopefully get done in the next month or so. 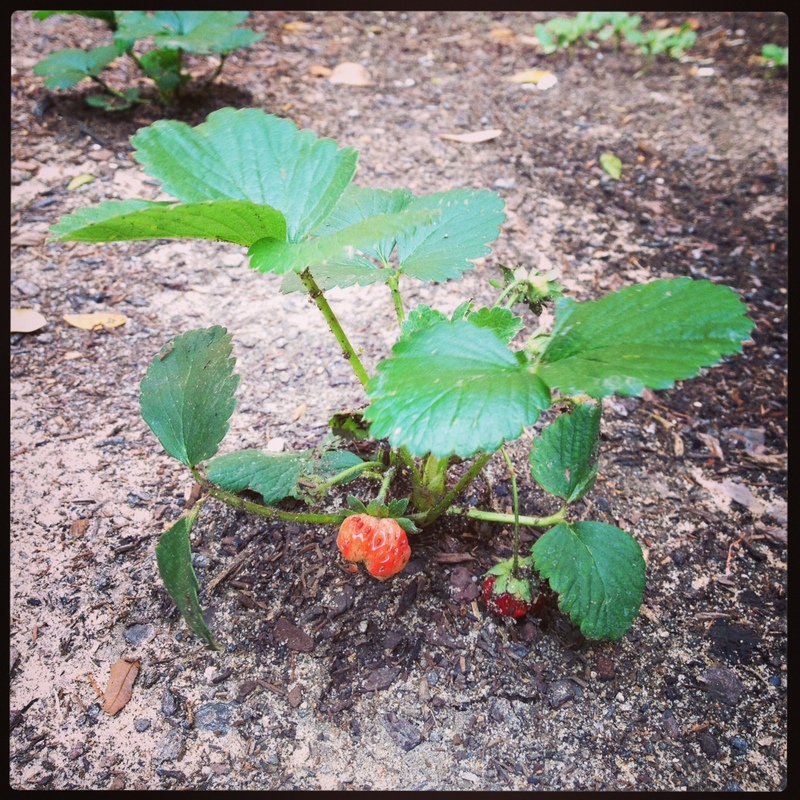 Here are some pictures of how our garden has come along in the past month! Can you spot the six tomatoes? 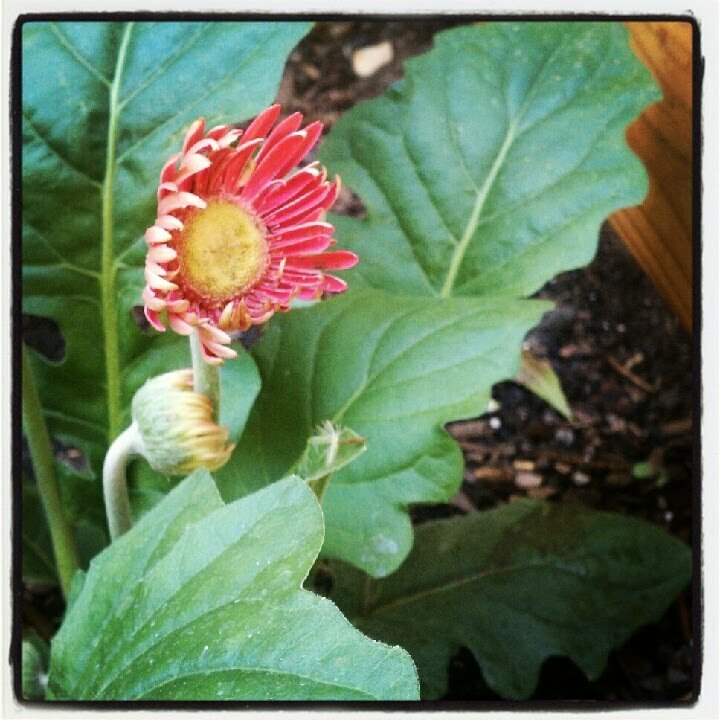 I can’t forget about the flowers we planted in the garden, too! 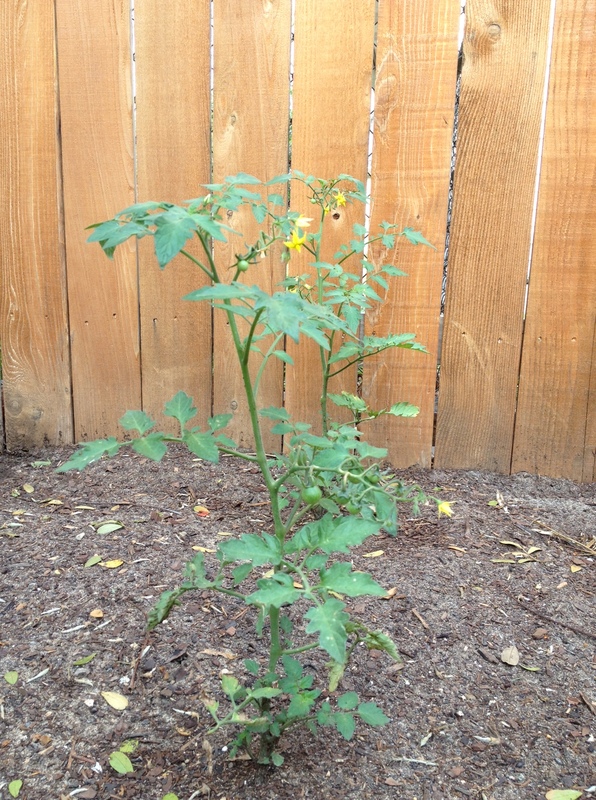 We planted these a few weeks ago and they are slowly starting to grow. 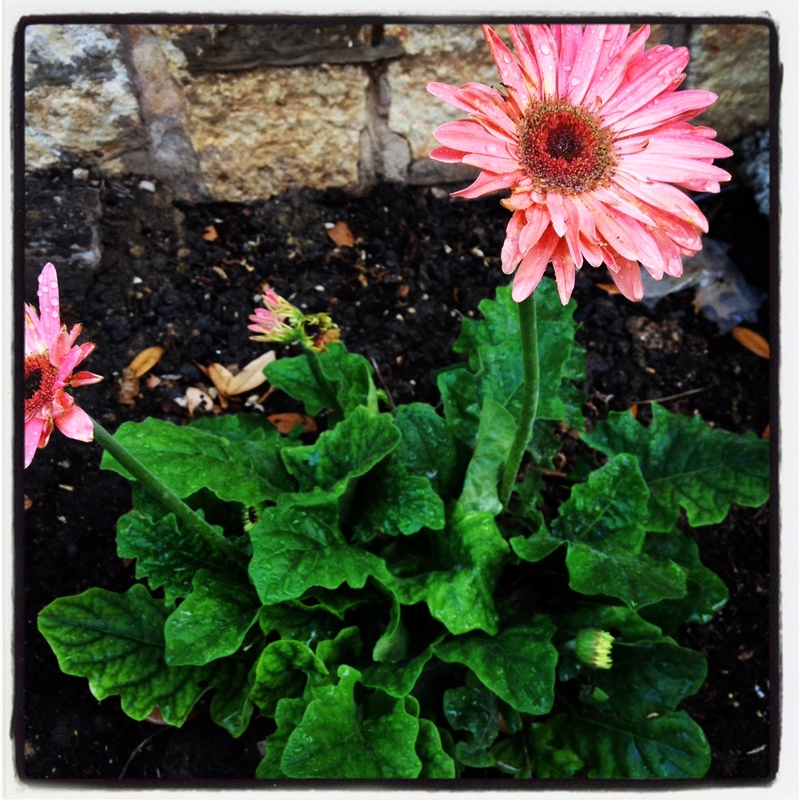 One of my favorites are the pink gerber daisies. Found one of them starting to bloom today! 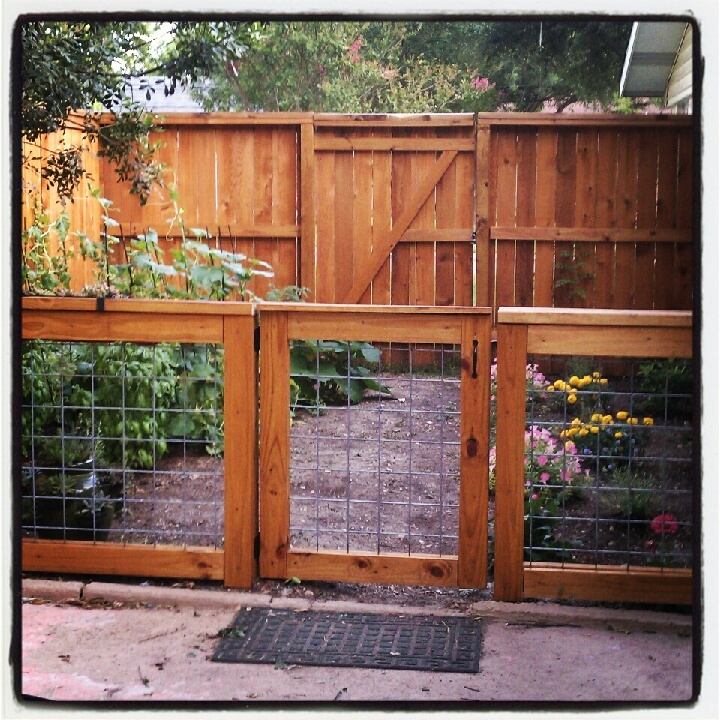 This entry was posted in House Projects and tagged garden, gardening on May 25, 2012 by the nance familia. 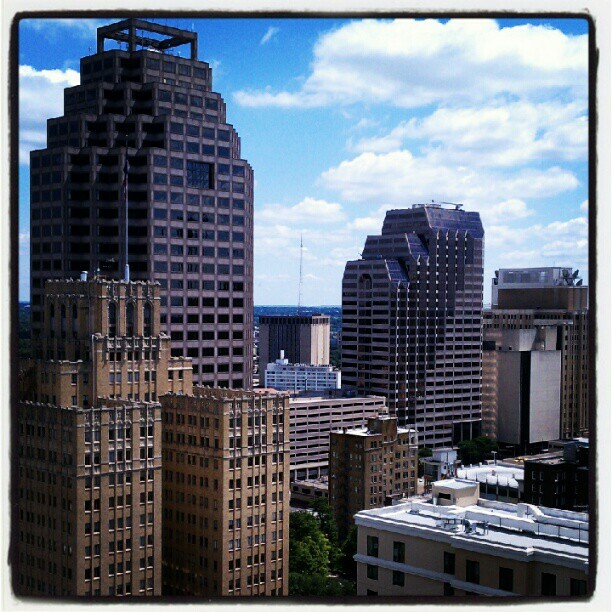 Mom’s visit to San Antonio! Someday, my blog posts won’t be so delayed. Not sure when that day will be, so in the meantime I guess my posts will be a couple of weeks behind! Chip went to a CFA bootcamp at Creighton two weeks ago in preparation for his exam in June. He would be gone from Wednesday afternoon to Monday morning, so my mom came to visit me so I wouldn’t be alone those days (she’s a good Hispanic mom!). I hadn’t seen my mom since March so I was really looking forward to getting four days together. 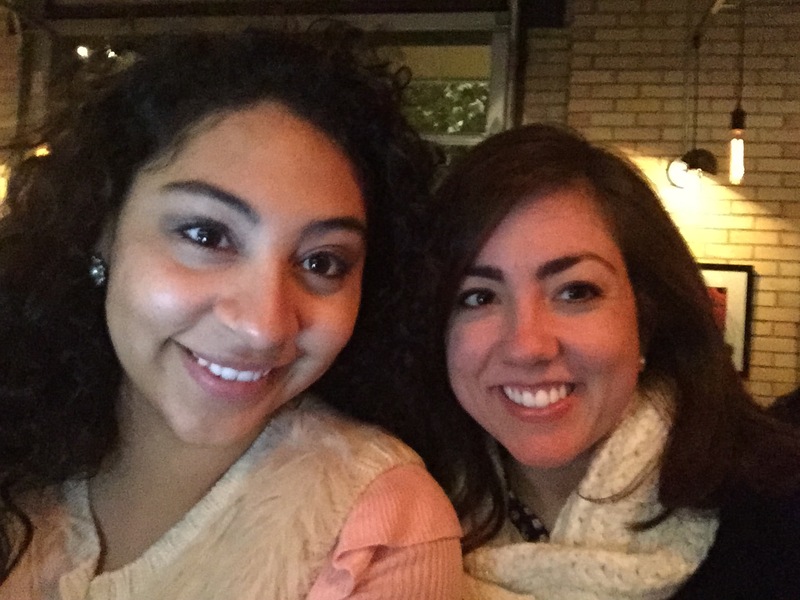 My mom flew in on Wednesday evening and we had been planning to go to San Marcos on Thursday from some quality mother-daughter time shopping (yes, my Type A mother and I planned out our itinerary in advance for the four days she would be here). Unfortunately, the weather that Thursday was downright awful. There was heavy rain in the morning (which didn’t stop us from going to Anthropologie! ), but the storm got pretty intense when we were getting ready to head up to San Marcos. We checked the weather out on our phones and since it looked the storm would be traveling with us towards Austin, we decided to postpone our trip until Friday. 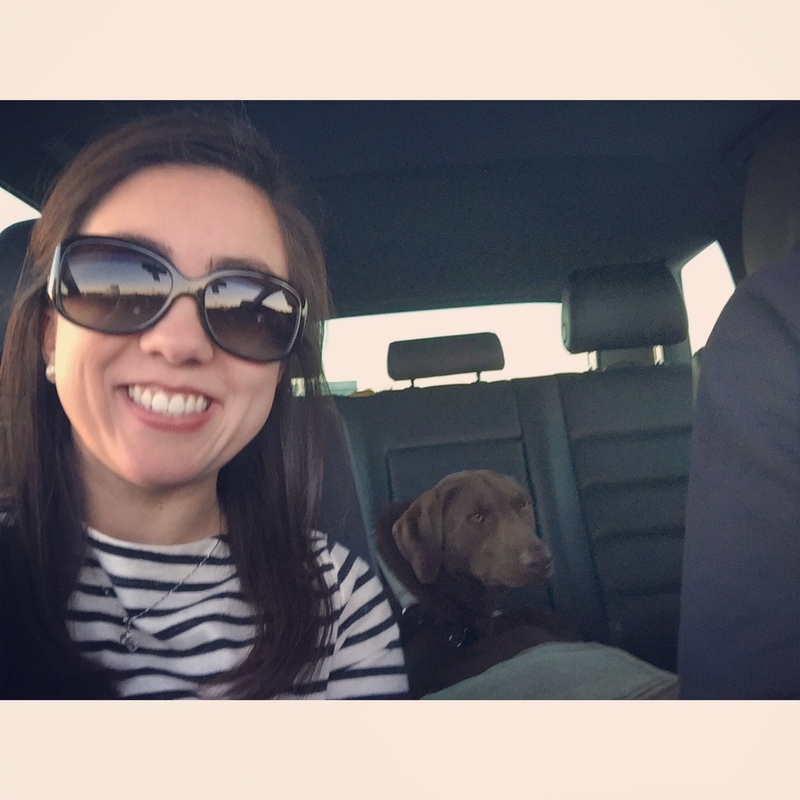 We then decided shift some things around in our weekend itinerary and go do some shopping at Home Goods for a few really cute planting pots to use later in the weekend (Saturday, per our schedule). 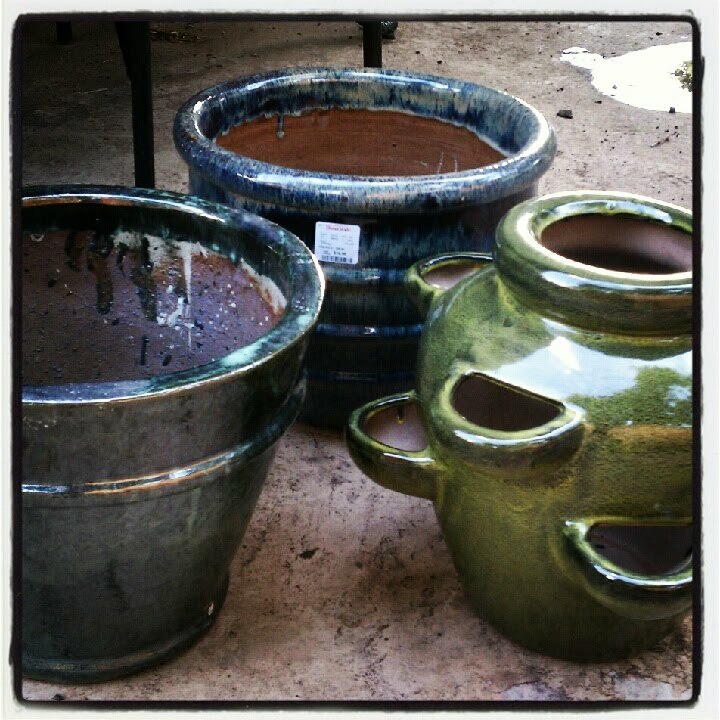 Planting pots from Home Goods! Waiting to go to San Marcos on Friday was a very smart decision. The weather couldn’t have been any more different than it had been the previous 24 hours! Whereas Thursday had heavy rain, thunder and lightning, Friday was sunny and gorgeous (and a little humid… oh, well). We got to San Marcos shortly after all the stores opened so we were spared from all of the usual madness and traffic that comes with shopping at the outlets. My mom and I enjoy a good bargain, so we had a great time going to a lot of the stores there. 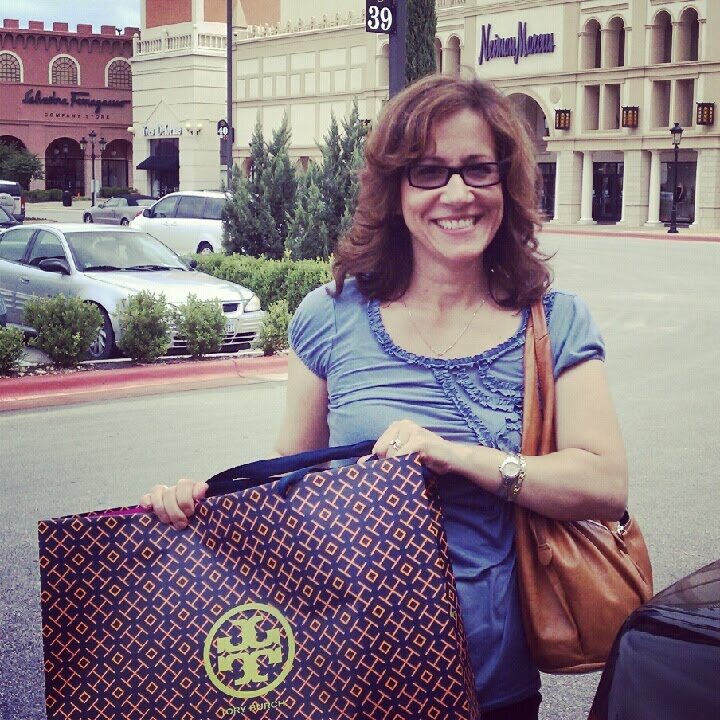 One store we went to for the first time was Tory Burch. They had some awesome stuff and my mom was able to get some really cute outfits! After spending most of the day in San Marcos, we made our way back to San Antonio and stopped at one of my favorite stores: Lowe’s! 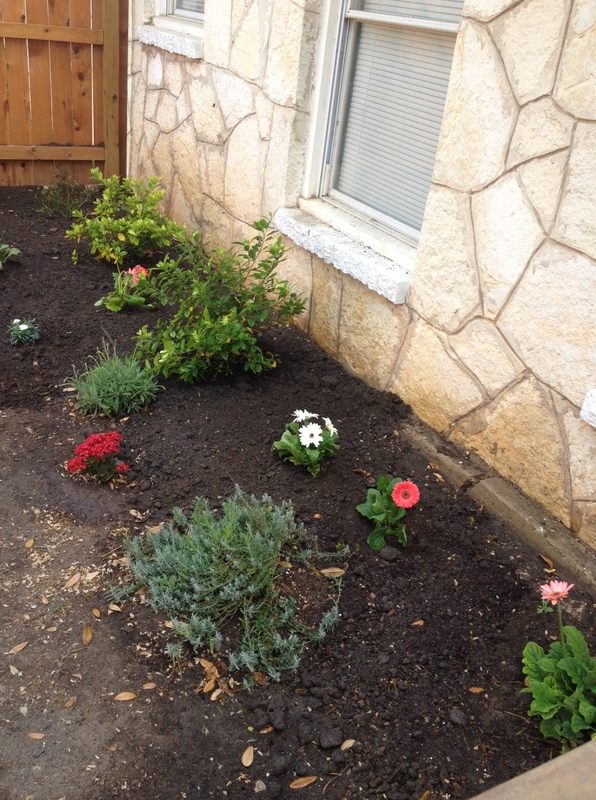 My mom also really enjoys gardening, so we had planned to do a little bit of flower planting together while she was in town. So after stocking up on flowers, succulents, potting soil and mulch, we made our way back home to unload my car from the day’s purchases. Once my car had been emptied out, we took a break to relax and make some yummy fish tacos for dinner (mom, you better make these for dad now! :)). 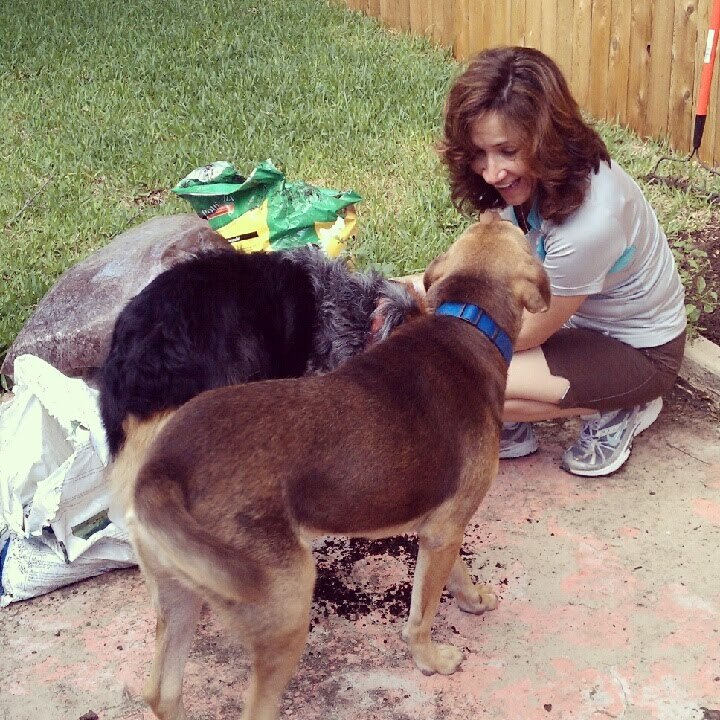 After we ate and rested with the dogs for a bit, it was planting time. 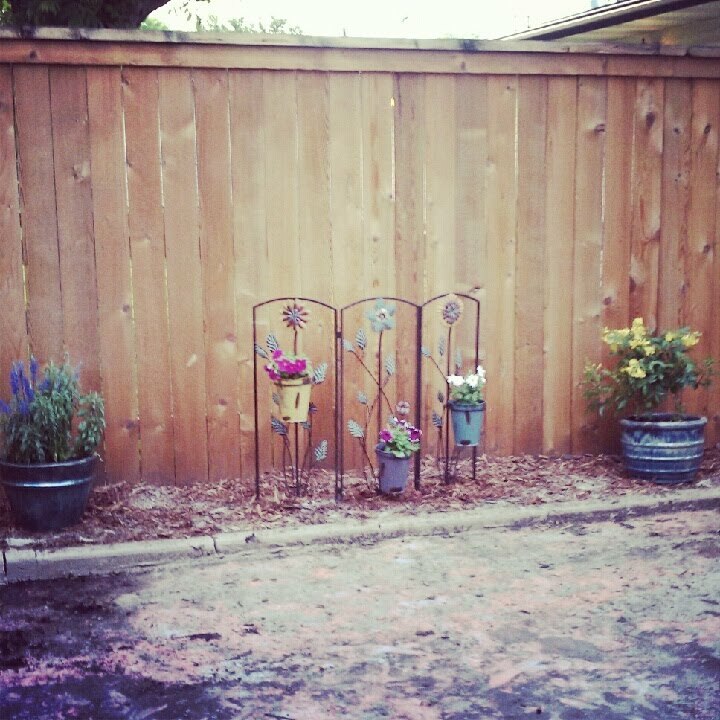 We chose to put the pots from Home Goods along the side of the patio where we have a small strip of soil. 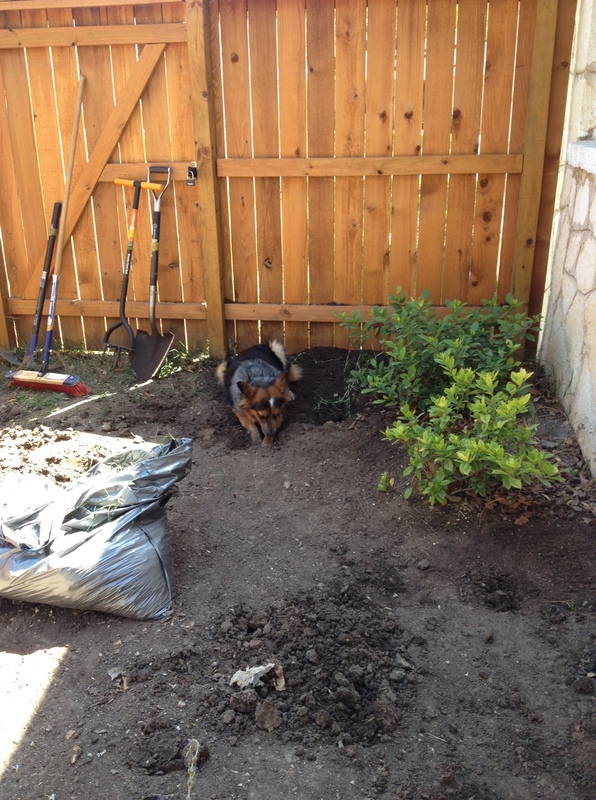 I had originally planted some blue plumbagos here, but dear Wrigley destroyed them (twice because I was foolish enough to try again) while wrestling with Duke. We figured pots would be more dog-proof, and by figured I mean hoped. I am so excited about how this turned out. It really gives our backyard some personality and I love how it filled out this space. 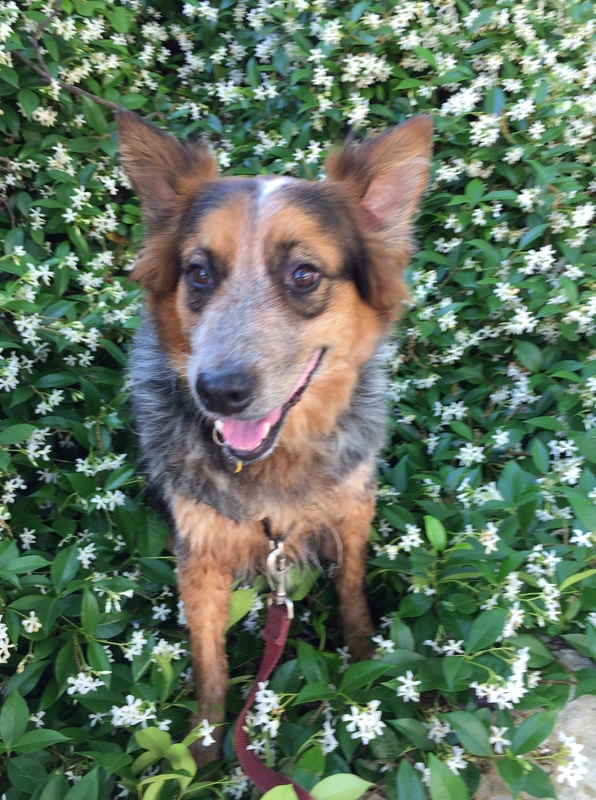 And thankfully, Wrigley hasn’t found a way to ruin these flowers! I hope I haven’t spoken too soon… once we got these flowers finished, it was time to get to the succulents. I knew I wanted succulents in our garden area, but had originally been thinking about making a wreath with them. 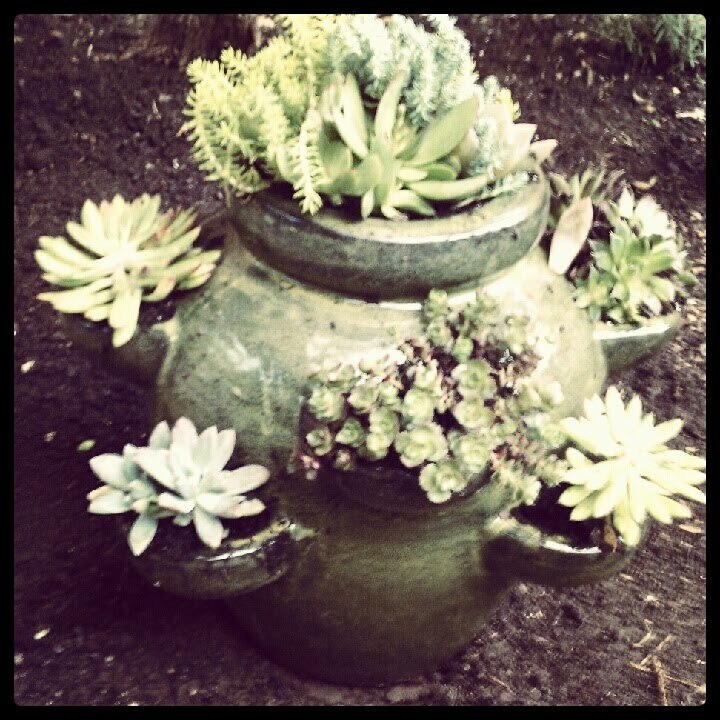 However, that plan was thrown out the window once I saw this cute vegetable planter pot at Home Goods. Now, my mom and I don’t always have the best depth or quantity perception (just ask my dad about it!). So we accidentally bought too many succulents for the pot pictured above. 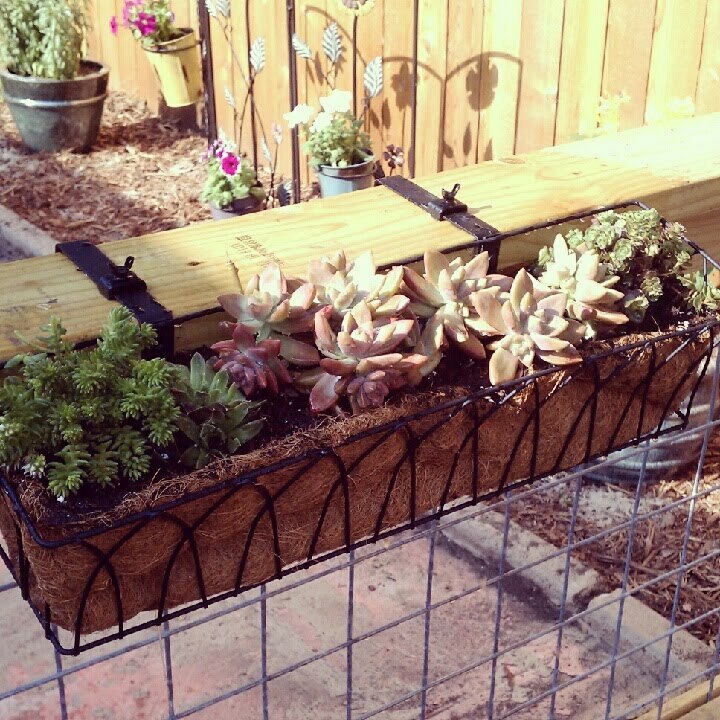 Instead of returning the succulents we didn’t use, we decided to get a cute hanging basket to put the rest in! So back to Lowe’s we went for this little extra project. On Saturday evening, we went to Picknikins for dinner. We had originally chosen this place because they are dog friendly and we thought it would be a lot of fun to take Wrigley and Duke with us. Unfortunately, poor Duke is still pretty scared of cars and there was no way we could get him in without giving him a panic attack. So we left the dogs to enjoy the backyard while we went out to dinner. 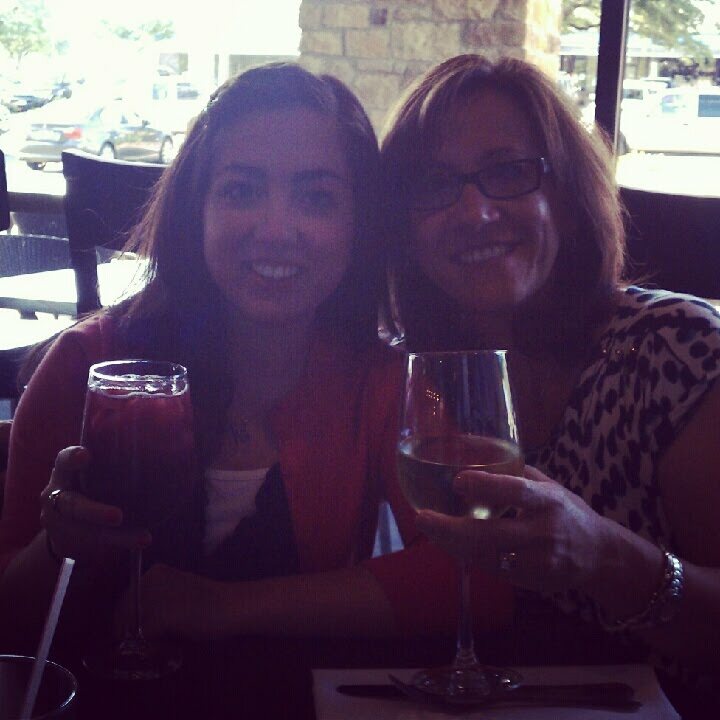 We had a great time talking over dinner with wine and sangria (my mom even almost finished her glass of wine! :)). Sunday was Mother’s Day and my mom’s last full day in town. I was so grateful that I would get to spend this special day with my mom. I sadly can’t remember the last time I got to be with my mom on Mother’s Day as it almost always fell before finals were over at Trinity. 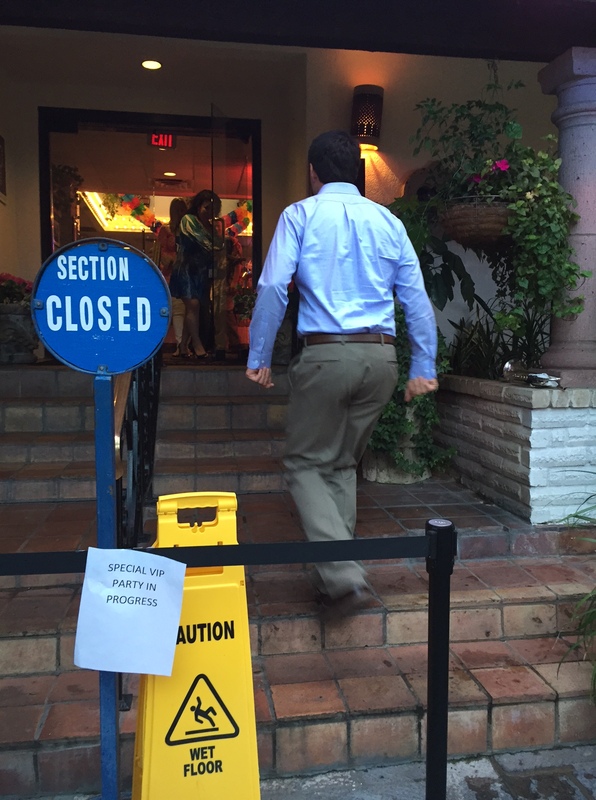 Because of this, I really wanted to have a special brunch with my mom. After brainstorming some places, I surprised my mom and made reservations at the Plaza Club. 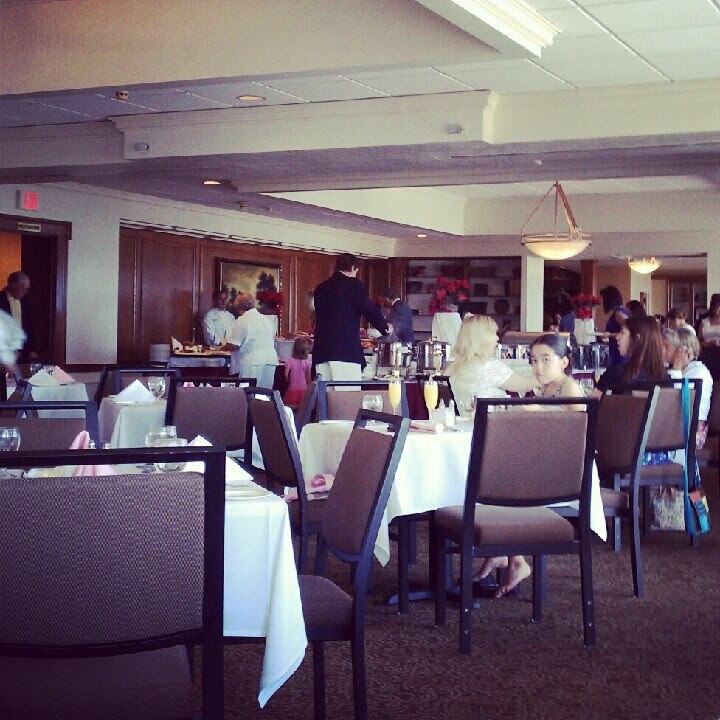 I knew my mom would absolutely love this since this is where Chip and I had our wedding reception. It was a bit surreal being back at the Plaza Club and I definitely caught my mom getting a little emotional a couple of times! Our brunch was absolutely delicious. It was probably the best tasting buffet I’ve ever had! 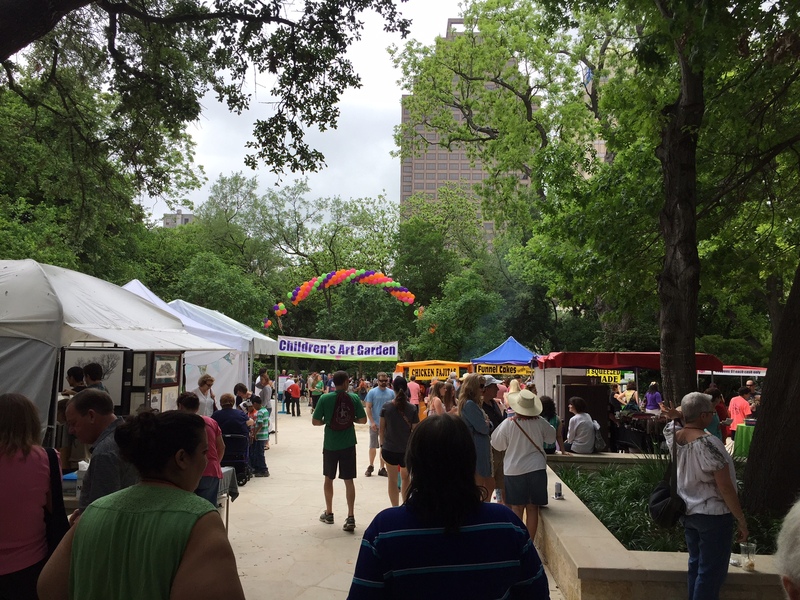 We had mimosas and really tasty shrimp, ceviche, caprese salad, crepes, Texas shaped waffles and more… we definitely left feeling very full! We spent the rest of Sunday relaxing and making sure everything would fit back in my mom’s suitcase (that shopping trip to San Marcos made it a little tricky!). 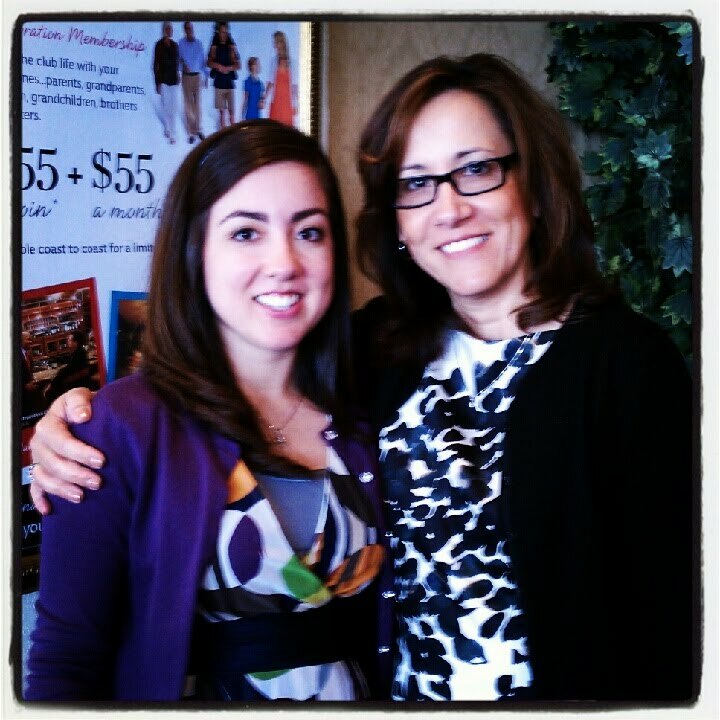 I am so thankful for the time I got to spend with my mom. It’s probably the most consistent amount of time we’ve had with each other since before the wedding and the days together just flew by. Looking forward to the next time I’ll get to see her and my dad! This entry was posted in Family, House Projects and tagged family, flowers, gardening, mother's day on May 23, 2012 by the nance familia.